Algerian physician. First Vice President of North/South dialogue for Arab countries and the Mediterranean at the Robert Schuman Institute for Europe. Member of the Center for Long Term Strategic Studies (CEPS). General Delegate for the Mediterranean Observatory for Information and Reflection. President of Cheniere Marketing Ltd, a 100% subsidiary of Cheniere Energy, Inc., a Houston based company specializing in liquefied natural gas importation and exportation. 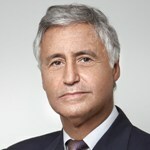 He joined Cheniere in 2006, after having held various positions within Gaz de France (now Engie), among which Executive Vice President for Supply, Trading & Marketing, President of Gaselys, International Executive Vice President as well as Advisor to the Chairman & CEO and Secretary of the Board of Directors. He graduated from the Ecole Centrale de Lyon. 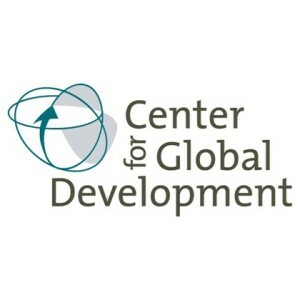 President of the Center for Global Development. He was Director of the IMF’s Middle East and Central Asia Department from November 2008 to October 2016. Previously, he was the Director of the External Relations Department in the IMF, and between 2003-2006 he served as Director General for Policy and International Development at the U.K. government’s Department for International Development. Earlier, he held positions in the IMF and the World Bank, working on areas that included international economic policy relating to debt, aid effectiveness, trade, and global economic prospects. He obtained his graduate and post-graduate degrees in Economics from the London School of Economics. Ambassador of Bangladesh to the Swiss Confederation and Permanent Representative to the United Nations Office and other International Organizations in Geneva. Former Ambassador of Bangladesh to Brazil. Former High Commissioner of Bangladesh to Brunei Darussalam (2009-2012). From 2005 to 2008, he served as Ambassador to the Islamic Republic of Iran with concurrent accreditation to Turkmenistan and Tajikistan. 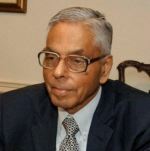 He joined the Bangladesh Foreign Service in 1986. He is a medical graduate of the University of Rajshahi, Bangladesh. He was also awarded the post-graduate “Diplôme d’etudes Supérieures Specialisés (DESS)” in Diplomacy and Administration of International Organizations from the Jean Monnet-Sceaux Law Faculty of the University of Paris XI. Minister of Foreign Affairs, African Integration, Francophonie and Beninese Diaspora. 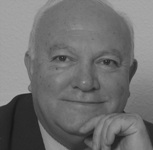 Previously, he served as Mayor of the Municipality of Pobè (2008-2015). He was Foreign Affairs Inspector (2006-2008), Director of Europe Department (1996-1998) and Director of Legal affairs, Analysis and Forecasting (DAJAP) (1986). From 1998 to 2006, he was Chief of Staff of the General Administrator at the International Francophone Organization (OIF). 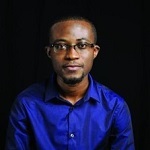 He graduated from the Faculty of Law, Economics and Politics (FASJEP), Cotonou, University of Dahomey, the Centre of Administrative Training and Refresher’s Course for Public Administration Executives (CEFAP), the International Institute of Public Administration (IIAP) Paris and the Paris I Panthéon Sorbonne University. Founder and Director of the Organisation for Democracy and Freedom in Syria and Chairman of the Iman Foundation. He campaigns internationally for democracy, freedom and human rights, and is a regular speaker on human rights platforms, as well as writing regularly on these issues. He is particularly involved in promoting interfaith dialogue and relations between Muslims, Jews and Christians around the globe. He holds a Bachelor of Business Administration degree from the InterAmerican University, New York and an MA from the University of Leicester, United Kingdom. Chief Executive Officer of Kuwait Financial Center, Markaz since 2004. Markaz is a leading GCC asset management and investment banking institution in the Middle East with a strategic focus to achieve regional leadership in the Industry. Prior to joining Markaz, he held the position of Deputy Director of Investments at the Kuwait Fund for Arab and Economic Development. He serves as director or trustee ion several high profile private, government, educational and non-profit boards and committees. He is a Certified Financial Manager (CFM) from The Institute of Management Accountants (USA). He holds a Master of Science and Bachelor degrees in Civil Engineering from Kuwait University. Member of the Supreme Petroleum Council in Kuwait. An Independent Economics advisor in the field of Public policy, Energy, finance and economics of social media. He served as Economics Advisor to the UNDP, Kuwait. Former Chairman of the Board of Directors and Managing Director of the Commercial Bank of Kuwait. He was Chairman of the Board of Directors of the Kuwait Banking Association (2007-2010). He started his career at the Kuwait Institute for Scientific Research (KISR) as a researcher and later as a manager of the economics department. He graduated from Syracuse University and continued post-graduate degrees at Stanford University. Former Ambassador of the State of Qatar to France (2013-2016). Previously, he served as Permanent Representative of the State of Qatar to the United Nations in New York (2011-2013). He was Ambassador of the State of Qatar to Belgium (2007-2011), Counsellor at the Embassy of the State of Qatar in Brussels (2004-2007) and he worked at the Embassy of the State of Qatar in Washington (2000-2004). He also worked at the Permanent Delegation of the State of Qatar in New York (1998-2000). He started his career at the Ministry of Foreign Affairs in 1997. He graduated in international relations from the American University, Washington. Diplomat, Special Advisor, Diplomatic Affairs, to the President of the Republic of Benin since 2007. Previously, she was Minister of Foreign Affairs (2006-2007). She served as Ambassador, Secretary-General of the Ministry of Foreign Affairs and African Integration (2004-2006), Ambassador, Deputy Secretary-General of the Ministry of Foreign Affairs and African Integration (2002-2004) and analyst at the Permanent Secretariat of the Strategic Analyses Cell at the Ministry of Foreign Affairs and African Integration (2001-2002). She held various positions at the Embassy of Benin in Bonn. She graduated from the University of Yaoundé, Cameroon. Consultant on international economic issues to the Policy Planning Staff, Ministry of Foreign Affairs, France. Formerly, he has held the position of Chief Economist / Senior advisor for international economic issues, Policy Planning Staff, Ministry of Foreign and European Affairs, France. He has also served as Head of the International Macroeconomic Forecasts Division and Head of the Public accounts Division of the French Ministry of Economy. He has also been staff economist at the Economic department of the OECD. Deputy Foreign Minister for Arab and African Countries, Islamic Republic of Iran, since 2011. Previoulsy, he was Director General for the Persian Gulf and the Middle-East (2010). 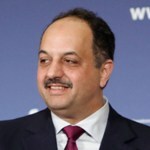 He was also Iran’s Ambassador to Bahrain (2007-2010), Head of the Special Department for Iraq (Foreign Ministry) (2006-2007), Deputy Director General for the Persian Gulf and the Middle-East (2006), Special Assistant of the Foreign Minister for Iraqi Affairs (2003-2006), Deputy of the First Persian Gulf Political Department (2001) and Political Expert and Deputy Ambassador in the Iranian Embassy in Baghdad (1997-2001). He is a Founding Member of the West Asia Research Center. He holds a PhD. in International Relations from Tehran University. Chargé de mission, Royal Cabinet, Morocco. He was appointed as Minister Delegate for Foreign Affairs and Cooperation by His Majesty King Mohammed VI in 2013. He served as Ambassador to Colombia, Ecuador, Panama, Chile, Mexico, Guatemala, El Salvador, Honduras, Costa Rica, Nicaragua, and Belize. 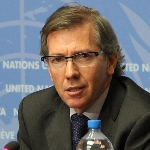 In 2008, he was appointed Secretary General at the Ministry of Foreign Affairs and Cooperation, a position he held until his election as Secretary General of the Union for the Mediterranean, in July 2011. 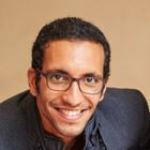 He holds a degree in economics from the University Mohammed V, Rabat and graduated from the Institute of Management, Boston. Author and journalist specialising in world politics. He is a contributing editor for The Economist and has been a senior editor for Project Syndicate. He was The Economist’s foreign correspondent. In a 24-year career that included positions in London as Asia editor, his foreign postings ranged from Singapore and Hong Kong to Brussels, Washington DC, Paris and finally Los Angeles. His latest book is The World in Conflict: understanding the world’s troublespots, published by Profile Books under The Economist imprint. Advisor to the President of the Bulgarian Academy of Sciences. Former Executive Director of the Balkan Political Club (2005-2014). 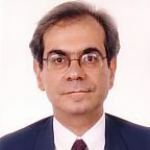 He was Secretary for the International Cooperation, Office of the President of the Bulgarian Academy of Sciences (2005-2012), Adviser to UNESCO on the Scientific Co-operation among the Countries of Southeast Europe (1999-2004) and Representative to UNESCO’s Executive Board (1993-1997). 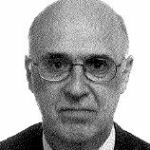 He also served as Bulgarian Ambassador to France (1991-1997) and permanent delegate to UNESCO (1992-1998). 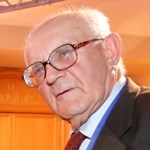 He was Senior Research Fellow, Institute of General and Inorganic Chemistry, Bulgarian Academy of Sciences (1981-1990). He holds a PhD in Chemistry. Director of the Center for Energy at the French Institute of International Relations (Ifri) and lecturer at Paris Dauphine University. She began her carreer in the energy sector in 2004 as a research fellow at the Center for Geopolitics of Energy and Raw Materials (CGEMP) at Paris Dauphine University. 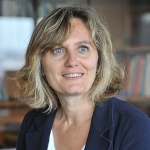 She served as Economist for the French energy regulator (Commission de Régulation de l’Energie) (2008-2014). 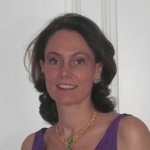 She holds a PhD in Economics from Paris Dauphine University and is the author of several papers on energy. President of the French Energy Council and of the French committee of the World Energy Council. He is also General Delegate of the French Academy of Engineering. 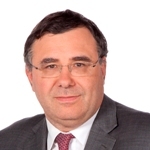 Previously, he was Chairman and CEO of IFP Energies Nouvelles (2003-2015). Prior to that, in 1999 he was appointed Director of the International Energy Agency’s Long-Term Cooperation and Policy Analysis Directorate. From 1989 to 1994, he headed the oil and gas department of the French Industry Ministry. He worked as Executive Vice-President of the IFP in charge of research and development activities (1994-1998). He graduated from the Ecole Polytechnique and the Ecole des Mines. Former French Minister of Justice, Keeper of the Seals. He joined the Paris Bar in 1951 and practiced law until 1981. He acted as defense attorney in the most important death penalty causes. In 1966, he was appointed Professor of Law including at the University Paris I Panthéon Sorbonne. French Minister of Justice, Keeper of the Seals (1981-1986), he brought to the Parliament the law for the abolition of death penalty. He was President of the Constitutional Council (1986-1995). He is the main inspirer and promoter of the Stockholm Convention of 1992, creating the “Court of Conciliation and Arbitration in the O.S.C.E.”, of which he was president until September 2013. In 1995, he was elected to the French Senate and reelected in 2004. In 2003, he was appointed by the UN Secretary-General, Kofi Annan, to be part of the Panel in charge of working on a report of the UN entitled “A more secure world: our shared responsibility” (2005). He is the author of many books and writer of an opera libretto. He is member of the International commission against the death penalty. Founder and CEO, Blue Orange Capital. Former Managing Director and Chief Financial Officer of the World Bank Group. 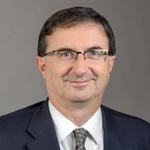 Previously, he served as the Group Chief Financial Officer at Société Générale, and before that as the Group Chief Financial Officer of Crédit Agricole (2007-2011). 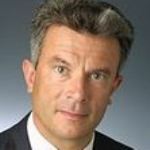 He was Managing Director of Lazard in Paris responsible for the Financial Institutions Group (2004-2007). In 2003, he was invited to join President Chirac’s diplomatic team and was closely involved in the preparation of the G8 summit in Evian. He graduated from the Ecole nationale d’administration (ENA), the Institut d’Etudes Politiques de Paris, Sorbonne Paris IV University and from HEC. Head of Policy Planning at the German Federal Foreign Office. Formerly, he served as Head of the German Foreign Minister’s Office in Berlin (2009-2011). He held the position of political counsellor at the German Embassy in Ankara (2002-2006), and then in Washington D.C. (2006-2009). At the beginning of his career, he worked as a research associate at the Institute of International Affairs in Ebenhausen, Germany. He holds an M.A. in International Relations from the University of Maryland (UMCP) and a PhD in political science from Ludwig-Maximilian-University in Munich. President, Lee&Ko Global Commerce Institute. Professor Emeritus and former Dean at the Graduate School of International Studies (GSIS) of Seoul National University. He served as Minister for Trade of Korea (2011-2013) and Ambassador-at-Large for International Economy and Trade (2013-2014). 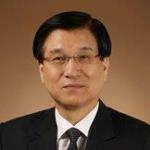 He also served as Chairman of the Korea International Trade Commission. Prior to this, he worked as a senior research fellow of the KDI and served as the Vice President of the KIEP. He also worked on the international commerce issues as a senior economist in the Office of the President of the Republic of Korea. He graduated from Seoul National University and he obtained a Ph.D. in economics from the University of Wisconsin-Madison. Chairman and founder of FDB Partners SPRL, an investment and advisory firm in TMT and publishing. In 2011, he was appointed Chairman of Idate/DigiWorld Institute, the leading European think tank and consultancy organisation dedicated to Internet, Telecommunications and Media. He has had unique and diversified entrepreneurial and corporate experiences in the technology sector. He started his career as a researcher in Robotics, Artificial Intelligence with IBM Corporation. 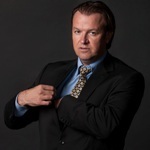 He served as President and CEO of Lucent EMEA and then as International CEO and corporate officer. He was also CEO of BT Global Services and a BT Group PLC board member. He sits in various boards and he is a frequent speaker in worldwide conferences on digital technologies. Managing Editor of Les Echos. He served as Deputy Managing Editor at Le Figaro (2005-2008). 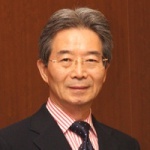 He held the position of Tokyo Bureau Chief, Les Echos (1994-2000). He was correspondent for Les Echos in the United States. He is also a columnist at Europe 1 and Radio classique. He graduated from the Institut d’études politiques, Paris and the Centre de formation des journalists. 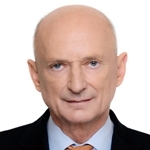 President, Narodowy Bank Polski and Professor of Economics. He specialises in applied economics and contemporary economic thought. He has served, among others, as Deputy Prime Minister, Minister of Finance (twice) and as Prime Minister of the Republic of Poland. He has worked as Chairman of the Council for International Coordination for Iraq, as Director of Economic Policy in the Coalition Provisional Authority, and as Executive Secretary of Economic Commission for Europe. 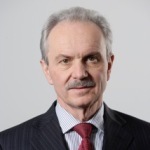 Before he was appointed President of Narodowy Bank Polski in June 2010, he was Director of the European Department at the International Monetary Fund. 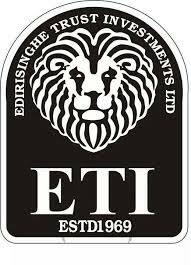 Executive Director, ELNET, since 2011. He made his career in the private sector as a consultant in communications, PR and international relations, dealing with Middle-Eastern and strategic affairs. He plays a crucial role in the French-Israeli relationship through his commitment both at the community and political levels. He seeks to strengthen ties between political leaders from France and Israel who believe that close relations between Europe and Israel are vital to both parties. Chief Executive Director of The Africa International Media Group and its branch MRB Productions, Media Consultant and Adviser on African Affairs. She also heads the “Club Millennium” in Paris. Born in Cameroon, educated in Cote d’Ivoire, France and Austria, she graduated from the universities of Abidjan, La Sorbonne in Paris and Vienna (German Studies, Political Science and History). Ms. Biloa is also an alumni of the Diplomatic Academy in Vienna, where her name is on the Hall of Fame, and of the Harvard Kennedy School of Governance. Besides being a frequent TV guest ( TV5Monde, France24, Aljazeera, RFI, i-Télé, ARD, ZDF) to comment current news and African politics, she is involved in creating « MRB TV », a global knowledge-based TV channel for which she is seeking partners. Ms Biloa is fluent in French, German and English, on top of several African languages. Minister of Foreign Affairs of the State of Qatar since 2013. Previously, he was Minister of State for Foreign Affairs and Member of the Council of Ministers. He also served as Chairman of the Board of the Qatar’s Stock Exchange, Vice Chairman of the Qatar Financial Center Authority, Acting Minister of Business and Trade and Minister of State for International Cooperation. From 2003 to 2008, he was President of the National Committee for Human Rights. He started his career as a Fighter Pilot in Qatar’s Emiri Air Force (1987-1995). He graduated from King Faisal Air Academy and Beirut Arab University. He holds a doctorate in Law from Cairo University. Former Prime Minister of Bulgaria (2014). 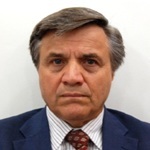 He is professor in Constitutional law at Sofia University since 1983. Since 2012 he is visiting professor at South-West University “Neofit Rilski”. 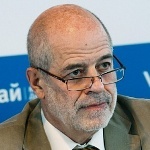 From February to May 214, he served as Chair-person of the Initiative committee for the organisation of a national referendum on election rules reform. He was a member of the 40th Bulgarian Parliament (2005-2009). In 2007, he was a member of the European Parliament. From 2005 to 2006, he was a Bulgarian observer at the European Parliament. He was also a member of the 36th Bulgarian Parliament (1991-1994). He graduated from Sofia University. He holds a PhD in Constitutional law. 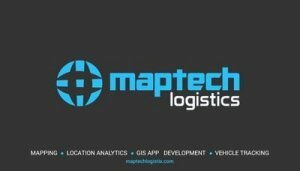 CEO and co-founder of MapTech Logistics Limited, a company that uses the power of Geographic Information Systems (GIS) to solve business problems by developing and deploying GIS based applications. He also founded EVOLV.Africa, a non-profit that empowers youth with entrepreneurship and leadership skills through seminars, conferences, and workshops. He has worked as logistics and supply chain analyst for Clean Team Ghana. He is founding curator of TEDxKNUST, has been named a World Economic Forum Global Shaper, and was recently named as one of 30 under 30 emerging Ghanaians to watch by Future of Ghana Magazine. He holds an master’s of business administration in logistics & supply chain management from KNUST-Kumasi. Managing Director at ISS-oekom. 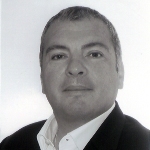 Before, he was Chief Operating Officer and Head of Research at oekom research AG since 2003. He joined oekom research AG in 1998 where he held various positions in the research department. He is a visiting lecturer at the Technical University of Munich, Frankfurt School of Finance & Management and the University of Zurich. He graduated from the University of Cologne in Business Administration. Former Governor, Morocco. He was Director of Cabinet of the Interior Minister, Special Adviser at the Office of the Interior Minister and administrator at the central administration of the Interior Ministry. He studied at the Institut d’Etudes Politiques in Paris and graduated from the School of Law in Rabat. He holds a PhD in Political Science from the University Paris II. CEO of Roland Berger. He joined the firm in 2001 as Senior Partner in the Paris office, where he headed the Financial Services and Energy & Utility Competence Centers as well as the firm’s Private Equity activities. He became President & Managing Partner of Roland Berger for Greater China in 2006. Since 2009, he is heading the Asian Leadership Team. Prior to joining Roland Berger, he was Vice President of another leading global strategy consultancy (1997-2001). He started his career as an investment banker at Société Générale (M&A and corporate finance) in Paris and London. One of his latest books, Light Footprint Management – Leadership in Times of Change, provides an innovative set of principles by which leaders can succeed in an increasingly challenging environment. 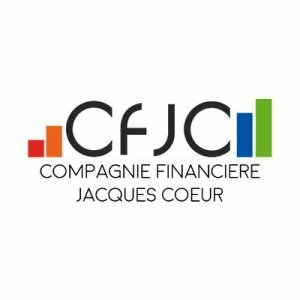 Founder and President of Compagnie Financière Jacques Cœur – CFJC. He started his professional career in 1987 within investment banks. In 1998, he opened the French subsidiary of a Swiss bank and developed the business with professional investors. 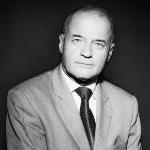 In 2003, he founded Compagnie Financière Jacques Coeur – a leading European financial multi-specialist broker dedicated to institutional investors. He graduated from IEP of Bordeaux and holds Post-graduate degrees in Public Law and in International Relations from the University of Paris II. Group Vice President Corporate Strategy & External Relations VALEO. Previously, he was technical advisor for Industrial Affairs at the Office of the French Minister of Defense, Jean-Yves Le Drian (2014-2016). He was also project manager at the Aerospace & Defence Unit, French Government Shareholding Agency (2011-2014), advisor for Industry at the Office of the Chairman and CEO of OCP Group (2009-2010). He graduated from the Ecole Polytechnique and the Ecole des Mines, Paris. 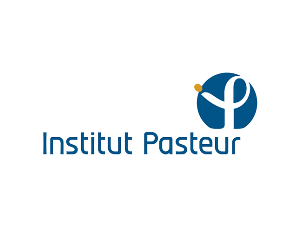 President of the Pasteur Institute. 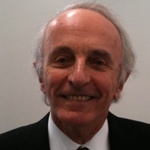 Previously, he was Vice-President of the Institut Merieux, in charge of medical and scientific affairs (2008-2013). 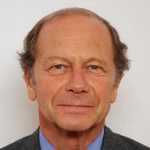 He served as Director General of the French institute for health and medical research (Inserm) (2001-2007). He headed the National Reference Center on the molecular epidemiology of viral hepatitis, Pasteur/Necker. He was also head of the National Reference Center on viral hepatitis. He holds MD Ph.D degrees, he studied at the Pasteur Institute and the Necker Faculty of Medicine. In 1989 he became full professor of Cell Biology and Hepatology. Ambassador of Bosnia and Herzegovina to Switzerland since 2013. 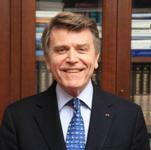 Previously, he served as Ambassador of Bosnia and Herzegovina to Greece (2009-2013). He is also a Visiting professor at the Department for History, Faculty of Philosophy, University of Banja Luka since 2009. He was also a Senior assistant professor at the Department for History, Faculty of Philosophy, University of Banja Luka (2006-2009) and assistant professor at the Department for History, Faculty of Philosophy, University of Banja Luka (2001-2006). He holds a PhD from the University of Banja Luka. Ambassador, Head Middle East and North Africa Division, Swiss Foreign Ministry since 2012. 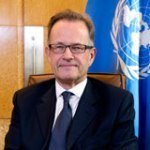 Previously, he served as Ambassador of Switzerland to the United Arab Emirates (2008-2012), Head of Human Rights Policy Section and Head of the Task Force “Human Rights Council” at the Department of Foreign Affairs (2003-2007) and Cultural Counsellor at the Swiss Embassy in London (1992-2002). He was also a Counsellor at the Swiss Embassy in Sarajevo (1996-1998). Ambassador of France. President, FBE International Consultants. Former Senior International Adviser and member of the European Advisory Board of Citi, after having been Chairman of Citigroup France. 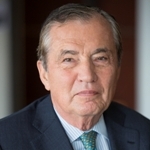 Former Ambassador of France to the United States and to Canada, diplomatic Adviser to Prime Minister Jacques Chirac and special Assistant to President Charles de Gaulle. Former Director of international relations at the French Atomic Energy Commissariat. He is a graduate of the Institut d’Études Politiques de Paris, of the École Nationale d’Administration, and of the Harvard Graduate School of Business Administration. Chairman & CEO of Burelle and Honorary Chairman of Plastic Omnium. 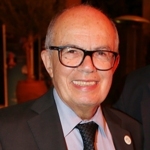 Honorary President, MEDEF International (2005-2016). Manufacturing engineer at L’Oréal (1966-1967). He was Department Head, General Manager, Chairman & CEO of Plastic Omnium (1967-2001). 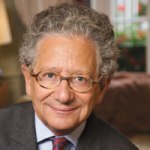 He was among others Director and President of the Compensation Committee of Essilor International (1997-2009), Board Member of the German-French Chamber of Commerce and Industry (1997-2003), Director of the French-American Chamber of Commerce (1999-2005) and Director of Lyon School of Management (EM Lyon) (2004-2010). He was also member of the Executive Committee of Medef (2002-2005). 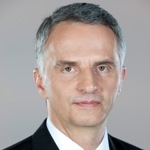 He is a member of the Supervisory Board of Banque Hottinguer since 2005. He graduated from the Federal Institute of Technology (ETH) in Zurich. He holds a MBA from Harvard University. Former Federal Councillor, Head of the Federal Department of Foreign Affairs (FDFA), Switzerland, since 2012. Former President of the Swiss Confederation (2014). He was elected Federal Councillor in 2009. He served as Head of the Federal Department of Foreign Affairs (FDFA). He was Member of the Council of States (2007-2009) and Member of the National Council (2003-2007). He was also President of the Communal council of Neuchâtel on three occasions (1994, 1998, 2001). From 1991 to 1995, he served as a member of the Communal Council of Neuchâtel. He was a member of Neuchâtel Cantonal Parliament (1990-2001). He graduated from the Faculty of Economics, University of Neuchâtel. Director of several corporations, including Junex Inc., an oil and gas exploration corporation, for which he is a Senior Strategic Advisor. He is on the Board of Directors of the National Bank of Canada. He was Chancellor of the University of Montreal, Chairman of the World Energy Council and Deputy Minister of the Environment of Quebec. He also served as President and Chief Executive Officer and Chairman of the Board of Hydro-Québec, and President and Chief Executive Officer of Gaz Métropolitain. He graduated from the University of Montreal, where he obtained a master’s degree and a doctorate in physical chemistry. 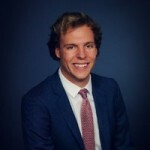 Senior Consultant, he runs AgroBrasConsult, a Brazilian consulting company specializes in agricultural markets and investments and based in São Paulo. He is a member of the Global Food Security Forum (GFSF) steering Committee. After being a Cooperating Professor at the University of Brazzaville (1975-1978), he became a Professor of International Economics at the Institut Superieur de Gestion (ISG), and Professor in Agricultural Economics at the Ecole Superieure d’Agriculture d’Angers (1985- 2010). Since 1994, he has been the correspondent in Brazil of the Cercle Cyclope, group set up and coordinated by Professor Philippe Chalmin. 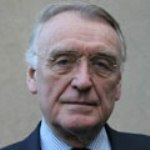 His latest book: Le défi chinois, les nouvelles strategies d’un géant (“The chinese challenge : new strategies of a giant”). He graduated in Economics and in Philosophy and holds a postgraduate degree in International Business. 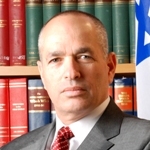 Ambassador of Israel to Switzerland and Liechtenstein since 2012. 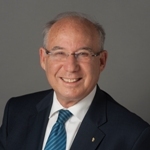 Previously, he served as Deputy Director-General for Media and Public Affairs, Ministry of Foreign Affairs (2009-2012), Ambassador of Israel to the Republic of Korea (2005-2009) and Director, North East Asia Division, Ministry of Foreign Affairs (2001-2005). He was also Minister (DCM), Embassy of Israel, Tokyo (1996-2001), Director, Information Department, Ministry of Foreign Affairs (1993-1996) and Counsellor (DCM), Embassy of Israel, Stockholm (1989-1993). He joined the Foreign Ministry Training Program in 1977. He graduated from the Hebrew University of Jerusalem. Co-President of the Fondation Alcen pour la Connaissance des Energies (raising awareness and knowledge of energies). President of Technochabs. Former Delegate-General of the Council of French Defense Industries (CIDEF), the Group of Telecommunication and Professional Electronics Industries (GITEP-EDS) and General Manager of the Industrial Laser Company (CILAS). Former Vice-President Defense Strategy in the Aeronautic branch and Secretary-General of the International Department within Thompson-CSF Group. He graduated from the Ecole Polytechnique, the ENSAR; he obtained a master’s degree in quantum optics and a degree INFO II (CIRO-Defense computer science). Professor of Economic History and Director of the Master of International Affairs at Paris-Dauphine University, Founder of the Cercle Cyclope, main european research institute on raw materials markets. He was a member of the Council of Economic Advisers in the Office of the French Prime Minister. He published around forty books including the latest Le siècle de Jules, le XXIe siècle raconté à mon petit-fils, Bourin 2010. He has been the President of the French Observatory on formation of food products’ prices and margins since 2010. He graduated from HEC, he is “agrégé” in history and holds a doctorate in humanities. 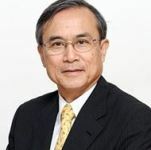 Former Finance Minister of the Kingdom of Thailand (2008-2011). He is currently Chairman of Thailand Democrat Party Policy Unit. Previously, he was President and Chairman of JP Morgan Securities (Thailand) (2000-2004). He spent much of his career in the finance sector since his early age at SG Warburg, London. He then co-founded JF Thanakom Securities with Jardine Fleming and was its President for 11 years. After the merger of Jardine Fleming and JP Morgan, he became President and subsequently Chairman of JP Morgan Securities (Thailand). He left to run for Bangkok Member of Parliament in October 2004. He graduated in Philosophy, Politics and Economics (PPE) from St. John’s College, University of Oxford. Emeritus University Professor and Emeritus Research Director, National Centre for Scientific Research (CNRS), Paris. He is Professor at Hassan II University of Casablanca. He has been Co-Editor « Sociologies » at Presses Universitaires de France since 2006. He served as Director of the Groupe d’Étude des Méthodes de l’Analyse Sociologique, Research Unit, National Centre for Scientific Research and University of Paris Sorbonne (1998-2010), Full Professor of methodology and epistemology of social sciences at the University of Lausanne (1988-1994) and Reader at the Institut d’études Politiques, Paris (1976-1982). He graduated from the University of Paris-Sorbonne and the University of Paris V.
Founder and Executive Vice-Chairman of the FutureWorld Foundation and Chairman of Strategic Concepts (Pty) Ltd. Chairman of the Advisory Board of the Global Economic Symposium, a member of the Board of the Salzburg Global Seminar, and a Director of companies, Strategic Adviser to the World Economic Forum, Faculty Member of the Parmenides Foundation, and co-author, with Thierry Malleret, of Resilience to Risk, and Global Risks, as well as numerous articles and chapters. He studied social sciences and law and holds a MBA from Henley Management College at Brunel University, United Kingdom. Member of the Paris and New York Bars. 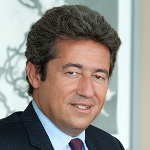 Founder and managing partner, Laurent Cohen-Tanugi Avocats. He served as Chairman of the French governmental task force on Europe in the global economy (2007-2008). 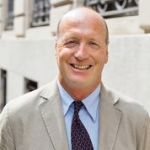 He was a Partner at Skadden, Arps, Slate, Meagher & Flom LLP (2005-2007), Senior Vice-President and General Counsel, Member of the Executive Committee of the Sanofi-Synthelabo pharmaceutical group (2004) and a Partner at Cleary, Gottlieb, Steen & Hamilton (1991-2003). He also served as FCPA Independent Corporate Monitor appointed by the United States Department of Justice and Securities and Exchange Commission (2011-2014). He graduated from Harvard Law School, University Paris I, Panthéon-Sorbonne Law School, the Institut d’Etudes Politiques de Paris (1980) and the Ecole Normale Supérieure. He has authored many influential books on democracy and the rule of law, European integration, transatlantic relations, and globalization. 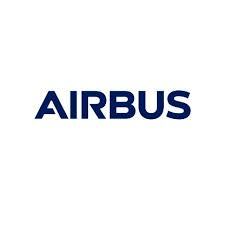 Head of Corporate Development, Airbus Group. Responsible for supporting Group strategic development and portfolio review in strong coordination with operational Divisions. In former functions she previously led the Airbus Group Internal Audit with a specific focus on major programme review and risk management. She used to work in Airbus Group Inc in Washington DC as head of integration, strategy and planning with a strong focus on the North American Defense and Security market and also supported the Defense and Security Division in strategic and business development matters. She also worked for Airbus group Merger and Acquisition department. 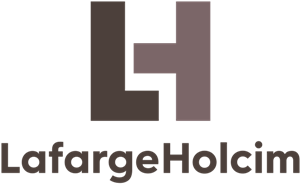 Honorary Chairman of Lafarge, who has merged with Holcim to form LafargeHolcim. 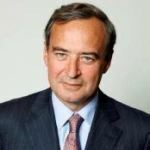 He was a Director of LafargeHolcim until May 2018, and was also a director of several international companies, among which Unilever, Allianz, DuPont and Total. From 1966 to 1975, he worked with the French government in various positions. He joined Lafarge in 1975. He was appointed Chairman and CEO of Lafarge in 1989. He was Chairman of Lafarge from 2003 to 2007. In parallel he was Chairman of Institut de l’Entreprise, of AFEP (Association of the large French companies) and of the WBCSD (World Business Council for Sustainable Development). 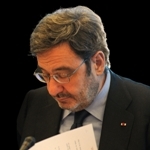 Member of the Institut de France and Past Chairman of the Académie des sciences morales et politiques. He graduated from the Ecole polytechnique and the Ecole des Mines in Paris. He also holds a French law degree and a PhD in Management from the University of Texas. 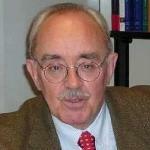 Maurits C. Boas Professor of International Economics at Harvard University since 1981. Previously, he was Chairman of the National Intelligence Council (1995-1997), Chairman of the Federal Reserve Bank of Boston (1990-1992), Under-Secretary of State for Economic Affairs (1977-1981), Deputy Assistant Secretary of State for International Monetary Affairs (1965-1966), U.S. Department of State. He received an A.B. from Oberlin College, a M.Sc (Econ) from London School of Economics and Political Science, and a Ph.D. from Harvard University. President and Co-founder of McLarty Associates. Prior to co-founding McLarty Associates in 1998, he served in the White House as Special Advisor to President Clinton on Western Hemisphere affairs and as General Counsel at the White House Office of Administration. He previously served as General Counsel of the Senate Judiciary Committee, under then-Chairman Joseph R. Biden. Before moving to Washington, he served as an Assistant United States Attorney in the Southern District of New York (1988-1994). He is a member of the Secretary of State’s Foreign Affairs Policy Board, the Department of State’s Advisory Committee on International Economic Policy. He graduated from Yale College and Stanford Law School. Professor of economics, The School of Political and Administrative Studies in Bucharest and member of the Board of the Central Bank of Romania. 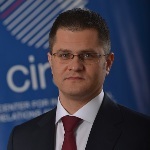 First Vice President of the Romanian Financial Supervision Authority during 2013-2014. He served as a member of the European Parliament (2007-2009) and he co-authored the EP report on the reform of the regulation and supervision of financial markets. 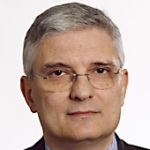 He also held the position of Finance Minister of Romania (1997-1998), Chairman of the Supervisory Board of Banca Comerciala Romana (2005-2007), Chief Economist of the National Bank of Romania (1992-1997) and Deputy Minister of Finance (1992).​ His last volume is entitled Emerging Europe and The Great Recession (UK, 2018). Chairman of The House of the Rising Stars Foundation (Geneva, Switzerland), Chairman of the European Leadership Network (Diplomacy & Defense issues, USA – Europe – Middle East). He is also Chairman of the Africa Alive Foundation (Geneva, Switzerland) and a board member of the Hudson Institute (Washington, D.C., USA) and of the Actigenomics Foundation (Geneva, Switzerland). 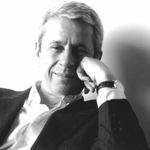 He is currently Dassas & Co.’s Chairman (Paris, France) and Chief Creative Officer of the Paris, New York and Moscow companies. He was previously Marketing Manager for Colgate Palmolive in New York and Paris. He graduated from both Economic Sciences College and Paris Trade and Industry Chamber. Advisor to the Executive Chairman, Ifri, Editor of Politique étrangère and co-director of the annual report Ramses. 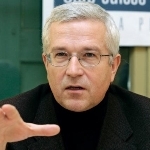 He is also President of the Austro-French Centre for Rapprochement in Europe. Former Executive Vice-President of Ifri. Previously, he was in charge of the Security Studies department at Ifri. Before joining Ifri, he was Deputy Director of the Institut français de polémologie (French Institute of Polemology), and then Secretary General of the FEDN (Fondation pour les études de défense nationale). He also taught at the Military School of Saint-Cyr, at the Paris I University and at the Institut d’études politiques de Paris (IEP). His studies and publications deal with strategic issues, particularly with French strategy and European issues. 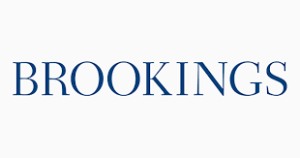 Consultant at McKinsey & Company in Brussels, Belgium. Former President of the King’s College London Students’ Union (KCLSU) (2013-2015). He was also President of King’s College London Think Tank, a non-profit activism group, now the largest student-led policy institute in Europe (2012-2013). He graduated from King’s College London, University of London and he has completed a master’s degree in Business Administration at Vlerick Business School (2015-2016). Ambassador of France. He began to work at the French Ministry of Foreign Affairs as Head of the Press and Information Department (1981-1985) and then became Head of the North Africa and Middle-East Department (1985-1989). He was Ambassador to Egypt (1989-1991), Head of the Political Affairs Department (1991-1995), Ambassador to the UN (1995-2000), and then to the Holy See (2000-2001). He is Vice-Chairman of the Executive Committee of the Institut du Monde Arabe and Chairman of the Scientific Committee of the Foundation Res Publica. Senior Fellow in the Global Economy and Development Program at the Brookings Institution and Senior Advisor at Sabanci University. He was Minister of Economic Affairs of Turkey. He also served as Head of the United Nations Development Program, member of the Turkish Parliament and was a Vice President of the World Bank. He earned his Bachelor and Master’s degrees from the London School of Economics, and his PhD in economics from Princeton University. Special Adviser of LafargeHolcim General Manager. He was, up to the merger between the two groups, Executive Vice-President and a member of the Executive Committee of Lafarge. Previously, he was Regional President for Asia Pacific at Lafarge and played a major role in the Group’s development in Asia, Africa and the Middle East. He started his career at the French Ministry of Foreign Affairs and was deputy Undersecretary of State for arms control. He is a graduate of the Ecole Nationale d’Administration (ENA) and the Institut d’Etudes Politiques of Paris. He also holds a Master in Economics. 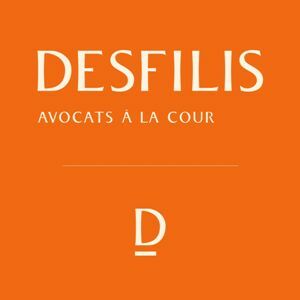 Partner, Desfilis. 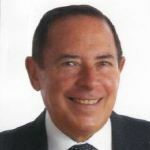 He is the Senior Partner of the firm that he joined in 1986 and became its managing partner in 1990. He can handle complex operations involving finance and taxation. 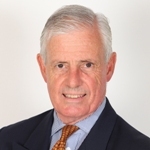 He has a strong expertise in governance issues as well as business succession. He holds a Master’s Degree in Corporate Law (Institut du Droit des Affaires, University of Paris II – Assas) and a Master’s Degree from the Institut d’Economie Appliquée in Paris. 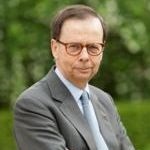 Honorary lecturer at the Université de Paris I (Panthéon-Sorbonne), expert-consultant to international organisations and member of the strategic council of IFRI. Through her research, relationships in the field and various positions held in the Organisation internationale de la Francophonie (OIF), she has become a specialist in democratisation, crisis and conflict resolution, transition and peace-building processes, especially in Africa. 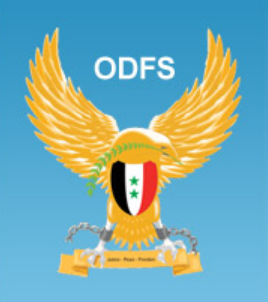 In the OIF, her positions have included chief of staff, delegate for peace, democracy and human rights and special advisor for political and diplomatic affairs to the Secretary-General from 1988 to 2010. She holds a Ph.D. in political science and is a member of the Académie des Sciences d’Outre Mer, a member of Ifri’s Strategic Advisory Board and an Officer of the Legion of Honour. Desk Manager, President’s Delivery Unit, Senegal. She is in charge of coordinating and monitoring five of the country’s twenty-seven flagship development projects. She worked as an analyst for BearingPoint Consulting before joining the telecommunication giant, Orange, as a business consulting manager. In her current role with the government, she is tasked with leveraging Senegal’s advantageous geographical location to attract top investors and tourists from around the Atlantic Basin. She graduated from Telecom Paris. Managing Director at Lazard Sovereign Group since 2014. Previously, he was Deputy Prime Minister of Serbia (2007-2011). From 2001 to 2004 he served as Minister of Finance and Economy of Serbia. Between 2005 and 2007, he served as Credit Agricole’s Director for Eastern Europe and the former Soviet Union. Prior to 2001, he was a Partner of McKinsey & Company in the Paris and Silicon Valley offices. 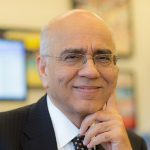 He holds a MBA from the Harvard Business School, a MPA from the J.F. Kennedy School of Government at Harvard University and a MA in Economics from the School of High Social Studies in Paris. 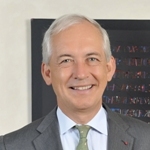 Chairman of the Board for the Autoroutes et Tunnel du Mont Blanc and of Société Française du Tunnel Routier du Fréjus, Vice President of the French Public Investment Bank (BPI), President of ETI FINANCE. Former CEO of OSEO (the French Agency for Innovation and SMEs financing). Former Engineer at the Directorate of Navigation of the Nord-Pas-de-Calais Region, Managing Director of the Caisse de Dépôts (French public financial institution) for the Normandie Region and later on for the Bourgogne region, Chairman of the Board for the Caisses d’Epargne (French savings banks) in the Midi-Pyrenees and for the Crédit Foncier de France (National mortgage bank of France). He holds a degree from the Ecole Polytechnique and from the ENPC (corps des Ponts). Group Head of Public Affairs, Axa Group. 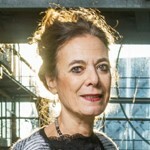 Previously, she served as Deputy Director General of the French Treasury, where she was also Chief Economist and Head of International Relations. Prior to her latest functions at the Treasury, she worked as Adviser to the President of the Republic for economic policy and public finance and as Head of the Economic Forecasts Division at INSEE. She graduated from the Ecole Polytechnique and the Ecole Nationale de la Statistique et de l’Administration Economique (ENSAE). Dean of the Faculty of Economics and Social Sciences of the Mohammed VI Polytechnic University and Managing Director of OCP Policy Center. 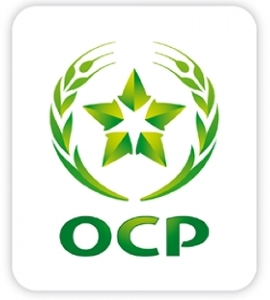 He also serves as advisor to the CEO and Chairman of OCP Group. 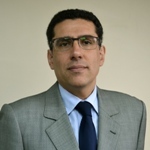 From 2005 to 2012, he served as Director of Economics and International Relations at Bank Al-Maghrib, the Central Bank of Morocco. Before joining Bank Al-Maghrib, he worked for eight years at the World Bank, both in its Middle Eastern and North Africa, and Africa regions as an economist. He is a board member of the OCP Foundation, a member of the Strategic Advisory Board of IFRI and a member of the COP22 Scientific Committee. He holds a PhD in economics from the University of Bordeaux. Ambassador of the Slovak Republic to the Swiss Confederation and the Principality of Liechtenstein since 2014. Previously, she was Director General of the Section of European Affairs at the Ministry of Foreign and European Affairs of Slovakia (2012-2014). From 2005 to 2011, she served as Head of the Representation of the European Commission in Slovakia. She also served as Counsellor and Deputy Permanent Representative of Slovakia to the OSCE, UN and other international organizations in Vienna. She graduated from Comenius University, Bratislava. She is pursuing PhD studies at Matej Bel University, Banská Bystrica. Professor in entrepreneurship and innovation management at the University of Strasbourg. Member of BETA, research unit from CNRS. Associate researcher at EPFL in Lausanne, Switzerland. Partner at JobZippers. Her research deals with the way identity and social norms affect behaviors and actions in the domains of entrepreneurship and innovation as well as with the motivations driving firms to undertake and succeed in collective actions. She is an alumni of Ecole normale supérieure de Cachan in France and holds a doctorate in economics from University Paris 1 Panthéon-Sorbonne. CEO & Founding Partner of DynaGrow Fair Trade, DynaGrow (SL) and DynaCorp Investment, an agribusiness group specializing in fair trade and sustainable agriculture in countries with low development index and focused on producing and trading cocoa, coffee & rice in West Africa. Thanks to DynaGrow Fair Trade, based in the United Kingdom, the group has become the first institution dedicated to directly fund fair trade finance for cocoa & coffee operations. Dominique Flavio is a serial entrepreneur with a significant experience in business. 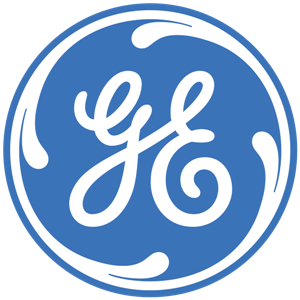 Deputy Country Manager, General Electric, Côte d’Ivoire. Her primary role is to identify and translate commercial opportunities into bankable projects for all the different businesses of GE in Francophone sub-Saharan Africa. She co-led the new implantation of GE in Côte d’Ivoire and continues to be involved in the daily operations. 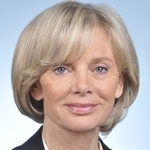 Prior to this, she spent seven years with GE Capital France where she held several positions. Her professional experience includes finance work with American Express in France and operations handling with Air France – KLM in the United States. She graduated in marketing and business administration from Baruch College. 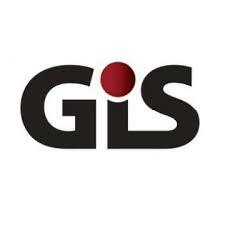 Chair of applied Geopolitics at College of World Studies (FMSH) since 2013. He is among others Senior Advisor to the Compagnie Jacques Coeur (since 2013). He was French Ambassador to Latvia (2002-2006), after having served as an Advisor to the French Foreign Minister (1997-2002), Special Envoy to the Balkans and the Caucasus (1999). He also served as Director of the policy planning staff of the French Foreign Ministry (1999-2002). From 2010 to 2013, he was Director of Studies and Research, Institute of Higher National Defence Studies (IHEDN). Chairman of JPMorgan Chase International and Chairman of the Board of Trustees of the Group of Thirty (G-30). Former Governor of the Bank of Israel. He served as Vice Chairman of American International Group, Inc. (2004-2009) and as Chairman of Merrill Lynch International Inc. (2000-2004). 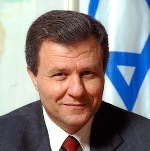 Between 1991 and 2000 he served two terms as the Governor of the Bank of Israel. He is credited with reducing inflation in Israel and achieving price stability, liberalizing Israel’s financial markets, removing foreign exchange controls, and integrating the Israeli economy into the global financial system. He was the Economic Counselor and Director of Research at the IMF (1987-1991). He is the author of numerous books and articles in the fields of International Economics and Macro-Economics. He holds a B.A. in economics and political science, Hebrew University of Jerusalem, and an M.A. and Ph.D. in economics, University of Chicago. 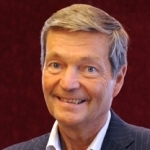 President of Wageningen University and Research, in the Netherlands since 2014. 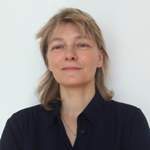 She combines a long academic career as professor in Wageningen and Amsterdam. 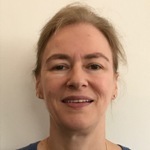 She is a member of the Dutch Royal Academy of Sciences and of four foreign Academies, as well as Distinguished Visiting Scholar at the Academy of Sciences of South Africa. She served for nearly ten years as Assistant-Director General at the food and Agriculture Organisation of the UN. She is also a Member of the Trilateral Commission. 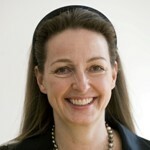 She serves as a non-executive director of Unilever. She is a member of the Council of Advisors of the World Food Prize. She was granted her doctoral degree with honours from Wageningen University in 1986, where she specialised in tropical agriculture. 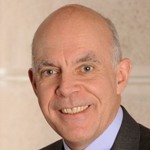 Canada’s Ambassador and Permanent Representative to the World Trade Organization (WTO), he plays a key role in multilateral trade negotiations, having served as Chair of the WTO’s General Council, and formerly as Chair of the Dispute Settlement Body. 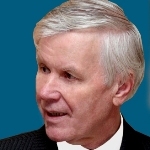 Formerly, he served as Canada’s Ambassador to Japan, Executive Director for Canada, Ireland and the Caribbean at the International Monetary Fund (IMF), Senior Foreign Policy Advisor to the Prime Minister; Senior Assistant Deputy Minister for the Department of Finance and Canada’s G7 and G20 Finance Deputy. He is a member of the Steering Committee the e15 initiative on strengthening the Global Trading System. Academician and Vice-Chairman of the Royal Academy of Economic and Financial Sciences of Spain. He also served as Dean of the Illustrious College of Economists of Catalonia and the Balearic Islands and as a member of the International Council of the US Information Agency. He is Honorary President of the European League of Economic Cooperation and board Member of the Fondation Jean Monnet pour l’Europe. He is also WAAS Fellow. In addition he has been Chairman, President and C.E.O. of several companies, including Tuneles y Autopistas de Barcelona S.A. and the Banco de Expansion Industrial. He holds a Ph.D and graduated from the Senior Management Program (PADE) of the IESE Business School. Doctor Honoris Causa of the Universities of Michoacan (Mexico) and Lishui (China). Executive Director of Maldon & Wat since 2011. She served as Advisor to the President of Romania (2009-2010). 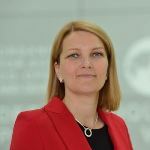 She held several positions at Unilever Central and Eastern Europe such as Business Development Director for Unilever Central and Eastern Europe (2009), Chairman (2005-2009), Marketing Director (2003-2005). She was also President of the American Chamber of Commerce in Romania (2011-2012; 2008-2009). 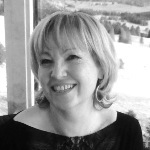 She is a founding member of the Board of Aspen Institute Romania. She graduated from the Academy of Economic Sciences, Bucharest and from Wharton University. Former Grand Chancellor of the Legion of Honor and Chancellor of the National Order of Merit. He was admitted to the second section of warrant officiers (officiers généraux) on February 28, 2010. He became Chief of the Military Staff of the President of the Republic in 2002. He was promoted to Army General on October 3, 2003, and then appointed Chief of the Defence Staff of the French Army on October 4, 2006. Promoted to Brigadier General in 1997, he was appointed Assistant General to the 11th Airborne Division and joined the SFOR (Stabilization Force) as Head of the “Plans and Policy” Office in the former Yugoslavia. He was admitted to the Ecole Spéciale Militaire de Saint-Cyr in September 1967. He then chose to serve in the infantry and joined the Ecole d’application de l’infanterie (Infantry School) in Montpellier. Vice chairman of the WPC. He manages the organisation of the annual conference since its first edition in 2008. He is also chairman and founder of Alandia, a restructuring advisory firm which helped various States or Sovereign funds to regain control over their industrial investments (Middle East, Africa and West Asia). Former Vice chairman of the Franco Indian chamber of commerce, he was more especially in charge of agricultural investments. He seats, or seated, at several Advisory Boards such as British Telecom or PWC. He published a book on globalization in June 2010: Mondialisation, un autre regard and one on restructuring issues in France (2015). Senior reporter and war correspondent at Le Figaro. He has covered major worldwide political crises and armed conflicts for the past 30 years. Expert on geopolitics, he publishes every Tuesday his international column in Le Figaro. He has written several books on the Middle East and the big diplomatic issues of the West. He regularly takes part in international conferences. He is also a Professor at the Institut d’études politiques de Paris and a member of the editorial board of the Revue des deux Mondes. In 2014, he was awarded the grand prix de la presse internationale by the foreign correspondents in Paris. He graduated from the Ecole normale supérieure and the Ecole nationale d’administration. Director of Ifri. Former Vice President for Strategic Development at Ifri (2010-2015). He was its Russia/Nis centre director (2004-2013), and the co-director of the Russie.Nei.Visions electronic collection. He researches on security, digital, and energy issues. He was a Lavoisier Fellow at MGIMO (Moscow State Institute for International Relations), Associate Fellow at the European Institute for Security Studies, and Marie Curie Fellow at the Department of War Studies, King’s College. Gomart is PhD in History (Paris I Panthéon-Sorbonne) and EMBA (HEC). 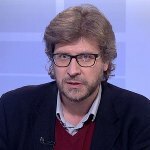 Among his latest publications: “L’Europe : sujet ou objet de la géopolitique des données ?”, (ed., with Julien Nocetti and Clément Tonon), Études de l’Ifri, Jul. 2018. 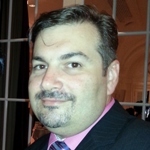 Managing Director Galileo Global Associates New York since 2014. He is also Director of United Way Worldwide since May 2014. Former Managing Director Citigroup New York (2011-2014). 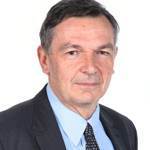 He was Citi Country Officer for France (1998-2011), Executive Vice President and Management Board member of Banque Indosuez (1994-1996), Chairman Asia Pacific of Credit Agricole Indosuez, based in Singapore. He is a Governor of the American Hospital of Paris, Director of the American Hospital of Paris Foundation and Director of the DC based Competitive Enterprise Institute. 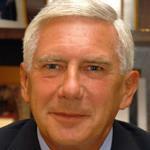 He was President of the American Chamber of Commerce in France (2008-2011). He is a Foreign trade adviser to the French PM since 1984. He holds a PhD in public law and a master in political science from the University of Lyon, France. He attended the Stanford Executive Program, GSB, Stanford University, CA. Managing Director, Banque Bordier & Cie, Geneva. Former Managing Partner, EFG Bank, Geneva. Area of expertise: private asset management. Member of the Board and Treasurer of the WPC Foundation. He previously worked as a money market dealer at the Al Saudi bank in Paris, then as treasurer for Europe at the National Bank of Abu Dhabi in Paris. He received a degree in economics from the University of Neuchâtel and an advanced management degree from the École des Cadres de Lausanne. 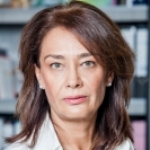 President of the Anna Lindh Euro-Mediterranean Foundation for the Dialogue Between Cultures since 2015. Former Member of the French Parliament and President of the Commission of Foreign Affairs at the Assemblée nationale. She began at the Ministry of Finance, then worked on Finance Minister Jacques Delors’ staff in 1982, and then became adviser to the President of the French Republic François Mitterrand (1982-1990). She was, among others, Deputy Minister for European Affairs (1990-1993), member of the European Parliament (1994-1997), Minister of Justice and Keeper of the Seals (1997-2000) and Minister of Employment and Solidarity (2000-2002). 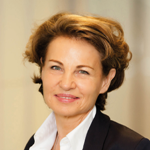 In 1994, she founded the Association Europartenaires that she is co-chairing in order to promote debates on Europe. She is also a board member of Notre Europe. She graduated from the University of Montpellier, France. She studied at the Ecole nationale d’administration (ENA). Professor at VADS, Free University, Tbilisi since 2014. 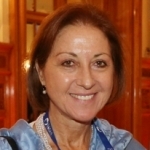 She is also a Senior Fellow at GISS Georgian Institute for Strategic Studies since 2013. 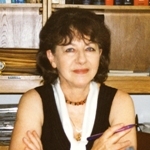 Previously, she served as Ambassador of Georgia to Germany (2009-2013) and as Professor at the State Academy of Arts in Tbilisi (2001-2009). She studied Philosophy and Arts at the Ludwig Maximilian University Munich and at the Academy of Arts in Munich. 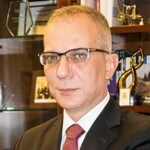 President of Banca de Import Export a Romaniei – EximBank SA since 2012. 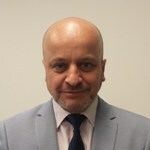 He has a wide experience in banking as Deputy General Manager and Board Member of Romanian Bank SA (part of National Bank of Greece Group) and previously as Chief Financial Officer of ING Bank in Romania. He was also part of the team that, in 1998, established ING Securities in Romania. In 2014, he led the team that established the Romanian Association of Exporters (AREX). He holds a MBA degree from the Doctoral School for Finance & Banking (DOFIN) affiliated to the Academy of Economic Studies Bucharest and he attended a specialized fellow training at Erasmus University in Rotterdam, the Netherlands. Lecturer and consultant. Her varied career has spanned the public, private, and non-profit sectors in Europe and the Americas, with a particular emphasis on the policy and healthcare fields. She created and lectured in a course in nonprofits and civil society and lectures on innovation, entrepreneurship and the policies and conditions that help promote them. Both as a consultant and as a board member, she has advised companies and international NGOs. She is a fellow at HITLAB (the Healthcare Innovation Technology Lab). She holds a BA in German studies and an MS in Management. Founder of CSPH International, a public affairs & communications consultancy company with a focus on energy, environment, industry matters and creative industries and in particular a strong involvement in digital economy. He is a former publisher in social sciences and literature. 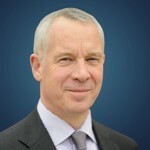 He then held senior executive positions for more than 20 years in many French and American multinational companies – from Thomson to Alcatel, Digital Equipment (DEC), AlliedSignal, Honeywell, Vivendi and Lafarge – with operations in the five continents, most of them in the technology and media sectors. He holds PhD in Economics. 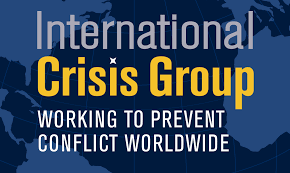 Special advisor Middle-East (based in Beirut and Riyadh), International Crisis Group since 2014. He held several positions in the International Crisis Group such as Special advisor Middle-East (based in Cairo and Damascus) (2013), Director, Egypt/Syria/Lebanon/Iraq/Gulf (based in Cairo and Damascus) (2012) and Director, Egypt/Syria/Lebanon (based in Cairo and Damascus) (2011-2012). He was Advisor to joint United Nations/Arab League special envoy for Syria Lakhdar Brahimi in 2013. He worked as an expert on a committee for the prevention of conflict at Chirac Foundation (Paris). 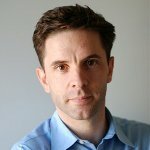 From 2002 to 2006, he was reporting in and on Iraq for Le Monde Diplomatique. He graduated from the Ecole des Hautes Etudes en Sciences Sociales (Paris). Palestinian Ambassador to the United Kingdom. He served the Palestinian people with distinction for twenty five years and has been a superb representative at the Ministry of Higher Education and at the Association of Arab Universities, among other international academic organizations. 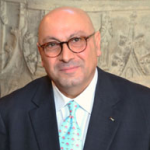 Among his academic awards and honors, Professor Hassassian was awarded an Honorary Doctorate (Docteur Honoris Causa) by the University of Reims, France, and nominated by the Center of International Development and Conflict Management, University of Maryland, for the Gleitzman Middle East Award. In 2015 he received the Grassroot Diplomat Award. He earned a BA in Political Science from the American University of Beirut, a MA in International Relations from Toledo University, Ohio, U.S.A. and a PhD in Comparative Politics from University of Cincinnati, Ohio, U.S.A. Professor of Practice (Aviation Management), Hong Kong Polytechnic University. 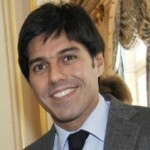 Former Vice President, Strategy & Partnerships in China, Air France. Before joining Air France, he worked at Bossard Consultants. He has been working at Air France since 1979, where he has held various positions, including in the Operational Research – IT Division. He was in charge of the Planning and Development Division and of recovery and restructuring projects for the Group. 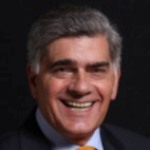 He also served as Vice President of Routes for Air France Caribbean & Indian Ocean, Asia & Pacific, and Americas. He graduated from the Ecole Centrale. Principal Private Secretary to the Prime Minister since May 2017. Immediately prior to taking up this role, he was Director for Strategy, Foreign and Commonwealth Office. 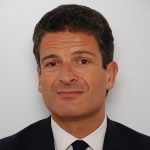 He joined the Foreign and Commonwealth Office in 1998 after a brief period as an academic at Oxford University. Before that, he had been working in the Home Office where he was responsible for counter-terrorism and security powers and policy. Prior to that he worked at the independent Chilcot Inquiry into the Iraq conflict and for three years in the cabinet of the European Trade Commissioner, where he was responsible for trade negotiations with South Asia, Africa, the Caribbean and Pacific regions and EU economic issues. He has also worked on a range of security and multilateral issues in the FCO and overseas. Contributing Editor to The Washington Post since January 2010, after serving two decades as Associate Editor and Chief Foreign Correspondent. 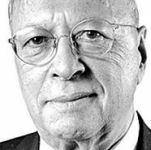 He has served in a variety of reporting, editing, and opinion-forming roles since joining the newspaper in 1966. He was awarded two Pulitzer prizes and other journalism honors. He began his journalism career as a reporter with the Rock Hill Evening Herald in 1960 while still in college. He is the author of a book, South Africa: Civilizations in Conflict, published (1972). He graduated with an A.B. in Journalism from the University of South Carolina and he has done graduate work at the University of Aix-en-Provence and Columbia University. 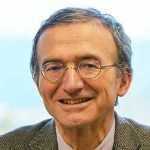 Adjunct Professor at the Ecole Polytechnique Fédérale de Lausanne and Visiting Professor at the Global Studies Institute (GSI) of the University of Geneva since 2014. He has been a journalist for thirty years and worked for most of the Swiss written press. He served as chief editor of l’Hebdo in 1996 and then, in 1997, he founded the daily newspaper Le Temps and was its first chief editor and director. He was also editorial editor of the group Edipresse and then Tamedia (2005-2014). Special Advisor and a member of the Board of Directors of the Canon Institute for Global Studies, a research think tank in Tokyo, Japan. 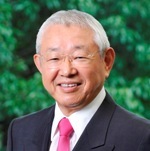 He also sits on the Audit & Supervisory Board of Tokio Marine Holdings. 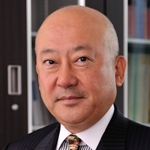 In addition, he advises a few internationally active business firms such as Nomura Securities. He was a central banker until he stepped down as Assistant Governor of the Bank of Japan in June 2010. In Asia, he was Chairman of EMEAP Working Group on Financial Markets as well as BIS/EMEAP Forex Forum. He received his MBA from the Wharton School at the University of Pennsylvania and his B.A. in Economics from the University of Tokyo. Former Member of the Turkish Parliament. He served as a member of the Executive Committee of The Parliamentarians for Global Action (PGA) and of the Parliamentary Network on the IMF & World Bank. He served also as a Deputy Convenor of the PGA Peace & Democracy, Law and Human Rights Programs. He is currently Advisory Board Member of the Iman Foundation (London) and Member of the Alumni Club of the Diplomatic Academy of Vienna. He graduated from the University of Vienna and he holds a PhD in Economics and Social Sciences. Governor of the National Bank of Romania since 1990. He is Member of the Romanian Academy since 2006. He served as Prime Minister (1999-2000). He held the position of Secretary in charge of economic and monetary issues with the Romanian Embassy in Washington, D.C. (1990). 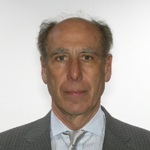 He has been Director of the Institute of World Economy since 1997. He also served as Governor for Romania in the IMF’s Board of Governors and as Vice-President of the Inter Ministerial Committee for the Transition to the Euro. He holds a Ph.D. in Economics from the Academy of Economics in Bucharest. Emeritus Professor, University of Tokyo and Professor at Gakushuin University. Previously, he was the dean of the graduate school. He has held various positions such as advising the Prime Minister as well as several Ministers in Japan. Currently, he is a member of the Council on Economic and Fiscal Policy. During early period of academic career he published various papers in international leading journals such as Journal of Political Economy, Quarterly Journal of Economics, Review of Economic Studies, and Journal of Economic Theory. He graduated from the University of Tokyo and he holds a Ph.D in Economics from the University of Rochester. Member of the Directorate of the Austro-French Centre for Rapprochement in Europe. Former Federal Minister of Foreign Affairs, Permanent Representative to the United Nations and to the Organization for Economic Cooperation and Development (OECD), President of the Security Council, and Vice President of the Steering Committee of the International Energy Agency. He studied law, political science and modern languages at the University of Vienna and at The Hague Academy of International Law. 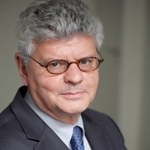 Professor in International Relations at the Conservatoire national des arts et métiers (CNAM), Paris, and Research Fellow at the Laboratoire interdisciplinaire de recherches en sciences de l’action (Lirsa-CNAM) Paris. She is Vice President of the Committee for Parliamentary and Political History and General Secretary of the Society for the History of the 5th Republic. She founded and was the editor of Histoire@Politique (2007-2014) at Sciences Po Paris and serves as editor of Revue historique and member of the Editorial Board of Parlements, three peer-reviewed journals. She is currently working on decision-making and expertise in the field of international relations, with special attention to the history and role of the think tanks in diplomatic affairs. She graduated and received her Ph.D. in modern history from Sciences Po. She holds the Agrégation d’histoire. President of the Center for International Relations and Sustainable Development (CIRSD), a global public policy think-tank. Leader of Serbia’s opposition People’s Party. He was President of the 67th session of the UN General Assembly (2012-2013), and finished second in the official race for UN Secretary-General (2016). 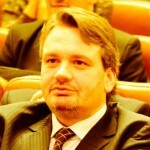 Previously, he served as Serbia’s Minister of Foreign Affairs (2007-2012). In 2013, he was named a Young Global Leader by the World Economic Forum. He graduated from Cambridge University and from Harvard University’s Kennedy School of Government. Dean of the School of International Studies of Peking University. He received his Ph.D. from Cornell University in 1988. He has taught in University of Vermont, Cornell University, University of California at San Diego, University of Sydney in Australia as well as Peking University. He was a research fellow at the Brookings Institution, a visiting professor at the University of Vienna and a CNAPS fellow at the Brookings Institution. He is a member of the Standing Committee and the Foreign Affairs Committee of the National Committee of the Chinese People’s Political Consultative Conference. He is also Director of the Institute for China-US People-to-People Exchange of the Ministry of Education, Vice President of the Chinese American Studies Association, Vice President of China International Relations Studies Association, and Vice President of Chinese Japanese Studies Association. Chief Executive Officer of NABARD Consultancy Services (NABCONS). He has been working at the National Bank for Agriculture and Rural Development for 30 years. He has published two books on microfinance and written on rural banking for several papers. 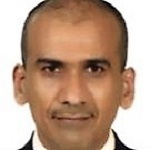 He holds an MBA from the Indian Institute of Management, in Ahmedabad, India, and a master’s degree in Agriculture and Rural Development from the University of Western Sydney, in Hawkesbury, Australia. Chancelor of the Euro-Mediterranean University of Fes and member of the Hassan II Academy of Science and Technology. He was Advisor to His Majesty the King Mohammed VI. He served as Minister of Finance and Foreign Investment. He was also President of the Development Committee of the IMF and the Work Bank and Minister of Public Works, Vocational and Professional Training. 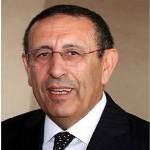 He was also governor of Greater Casablanca, member of the Moroccan Parliament and he founded the World Sacred Music Festival in Fes. He graduated from the Ecole Polytechnique in Paris, and the National School of Civil Engineering; he has a “Diplôme d’Etudes Approfondies” in Econometry, Sorbonne University, Paris. 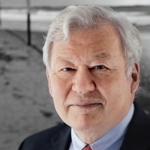 Senior Associate, Project on Europe and the Transatlantic Realionship, Belfer Center for Science and International Affairs; Adjunct Professor emeritus, Harvard Kennedy School. He was a Director of the German Council on Foreign Relations, Bonn/Berlin and an advisor to Chancellors Brandt and Schmidt. He taught at the Universities of Bonn, Johns Hopkins (Bologna), Saarbruecken, Cologne, the Hebrew University, and Harvard University. He holds a Ph.D. from Cologne University and an honorary doctorate of the Russian Academy of Sciences. He was educated at the Universities of Cologne, Grenoble and Oxford. Chairman and CEO of several firms, including CESSCO, Chemical Supplies & Services Co. and Delta Energy Services Co. He was Vice-President of Arab Organization for Human Rights in Jordan and Professor of Political Science at Jordan University. He is also Spokesman and Member of the Executive Board, National Reform Front, Jordan. 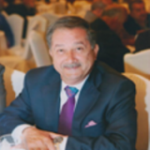 He is a member of the Board of Trustees of the Arab Forum and of the Ebal Organisation. He earned his PhD in Political Science from the University of London. Honorary Chairman of the Presidium of the non-governmental Council on Foreign and Defense Policy. Russian foreign and economic affairs specialist. He is a Member of the Scientific Advisory Council of the Ministry of Foreign Affairs of the Russian Federation. Founder and former Deputy Director of the Institute of Europe of the Academy of Sciences of USSR/Russia (1989-2010). He has been Dean of the School of International Economics and Foreign Affairs of the National Research University Higher School of Economics (NRU HSE) since 2006. He was a Member of High Level Panel of Eminent Persons on European Security as a Common Project (Organization for Security and Co-operation in Europe) (2014-2015). 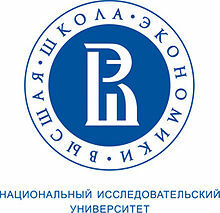 He graduated from the Department of Economics of the Moscow State University. Ambassador-at-Large and Policy Advisor in the Ministry of Foreign Affairs of Singapore. From 2001 to May 2013, he served as second Permanent Secretary and then as Permanent Secretary of the Ministry of Foreign Affairs. He had previously served in a variety of appointments including as Director for Southeast Asia, Director for East Asia and the Pacific and as Deputy Secretary for Southeast Asia. He was also Permanent Representative to the United Nations in New York and Ambassador to the Russian Federation. He graduated from the Raffles Institution, the University of Singapore and Columbia University in New York. Emeritus Professor of Economy and Health Management at the Conservatoire National des Arts et Métiers and founder of the Pasteur/CNAM School of Public Health, member of the French Academy of Engineering, member of the strategic of “Médecins du monde” Foundation. Former Consultant to the OECD, Visiting Professor at Yale University, Under Secretary at the Ministry of Health in charge of French hospitals and Adviser to the Prime Minister. He holds a master in Agronomy from the Institut national agronomique Paris-Grignon, a MBA and a PhD in Socioeconomics from Cornell University. Distinguished Professor, Dankook University since 2015. Former President of the Northeast Asian History Foundation (2012-2015). 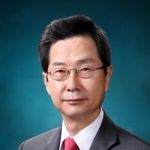 He was Chairman of the Board of Trustees, Dankook University (2011-2013), Chairman of Donga-Ilbo (East Asian Daily Newspaper) (2001-2011) and President of the Korean Political Science Association (2000). 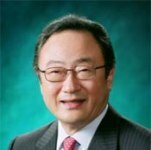 He also served as President of The Korean Federation of Teachers’ Associations (1999-2001) and Chancellor of University of Incheon (1996-2000). He graduated from Seoul National University and Kent State University. He holds a Ph. D. in Political Science from the University of Pittsburgh. OECD Deputy Secretary-General since August 2014. She is responsible for the strategic oversight of the OECD’s work on Efficient and Effective Governance; Territorial Development; Trade and Agriculture, as well as Statistics. She is also responsible for advancing the Better Life Initiative; as well as Entrepreneurship, SMEs’, Local development and Tourism. She was Finland’s Prime Minister (2010-2011). She had previously been Minister of Public Administration and Local Government, Minister for Foreign Trade and Development, and Minister for European Affairs. She graduated from the University of Helsinki. Director of the Gulf Research Center Foundation in Geneva, Switzerland. Previously, he served as Director of International Studies at the Gulf Research Center in Dubai, UAE. Prior to joining the GRC, he worked as Head of the Strategic Studies Section at the Emirates Center for Strategic Studies and Research, Abu Dhabi. 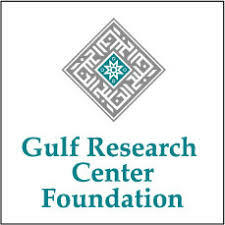 His work at the Gulf Research Center combines the various international and foreign relations issues of the GCC states with a particular interest in GCC-EU Relations. He received his Ph.D. from the University of Erlangen-Nürnberg, Germany and also studied at the American University in Washington, D.C. and the University of South Carolina. 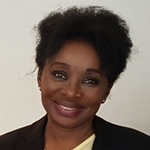 Country Manager for Côte d’Ivoire, General Electric, since 2014. Prior to joining General Electric, he worked 12 years for Citi where he held various positions, including CFO for West and Central Africa based in Côte d’Ivoire. From 2012 to 2013, he was Acting General Manager for Citi’s operations in Côte d’Ivoire. He also served as board member and vice president of Citibank Cote d’Ivoire S.A. He has also been a lecturer at the National school of statistics and applied Economics (E.N.S.E.A.) in Côte d’Ivoire for the past 10 Years. He graduated from the National school of statistics and applied Economics (E.N.S.E.A.) in Côte d’Ivoire, and he holds a MBA TRIUM, an alliance of New York Stern University, London School of Economics, and H.E.C. Paris. Chief Rabbi of France since June 22nd, 2014. On December 15th, 2014 he was elected as a member of the French Academy of Moral Science and Politics (also known as the Institute). He worked closely with the Chief Rabbis of France, Joseph Sitruk and Gilles Bernheim. He was a member of the National Consultative Ethics Committee (2005-2009), General Jewish Chaplain of the Army and the Polytechnic school and Director of the General Chaplain of the Air Force. He also served as General Secretary of the Association of French Rabbis (1999-2010). Once he had completed his secondary education, he joined the Jewish Seminary of France. He graduated from the Sorbonne. 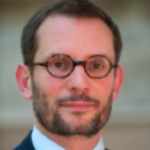 He holds a MBA from Reims Management School and a PhD in Contemporary History from the University of Poitiers. Assistant professor in the Institute of Political Studies at the Polish Academy of Sciences. 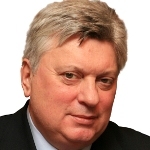 He was a member of the European Parliament, Chairman of UE delegation to EU-Ukraine Parliamentary Commission and of Foreign Affairs Committee (2009-2014). From 2007 to 2009 he was a member of Parliament (Sejm). He also served as Secretary of State in the Ministry of Foreign Affairs of Poland (2006-2007). 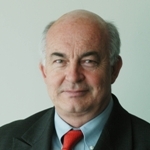 Author of numerous publications on the transformation processes in Central Europe. 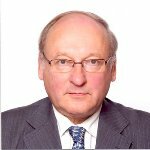 He is a member of the editorial board of the bi-monthly “New Eastern Europe” and of the Supervisory Board of Alwernia SA. He graduated from the Faculty of History at the Jagiellonian University of Cracow and studied at the Collegium Invisibile of Warsaw (1996-1998). Honorary chairman of Lafarge. From July 2015 to April 2017, he co-chaired the Board of Directors of LafargeHolcim. 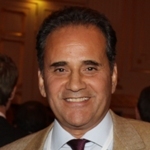 He was previously Chairman and Chief Executive Officer of Lafarge (2007-2015). He began his career at Lafarge in 1983 and held numerous positions in finance and international operations. He is a member of the Executive Committee of the World Business Council for Sustainable Development (WBCSD). He is presently chairing the Sustainable Development Commission of the MEDEF (Mouvement des Entreprises de France, the French employers association). 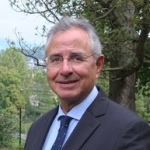 He is chairman of the FNEGE (Fondation Nationale pour l’Enseignement de la Gestion des Entreprises / French Foundation for Management Education) since June 2016. 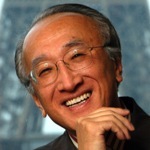 He is a Board member of EDF and Arcelor Mittal. He graduated from the Hautes Etudes Commerciales business school (HEC, Paris) and the Ecole Nationale d’Administration (ENA, Paris). Former Minister of Labor and Social protection and Minister of Youths and Sports, Algeria. He also served as Prefect, Ambassador of Algeria, Deputy, President of the Finance and Budget Commission at the national Assembly, Member of the Commission of Foreign Affairs, Cooperation and Emigration. 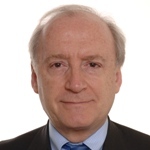 He is a Member of the Royal Academy of Spain for Economic and Finance Sciences and of the Forum “Penser l’Europe”. Honorary member of the “Barcelona Economics Network”. Member of the scientific committee of the “MS’10 Barcelona International Conference”. He is researcher, lecturer and teacher at the Higher School for Political Sciences, at the Institute of Diplomacy and at the International Relations and the National School of Administration (ENA). He was a board member of the High Institute of Management and Planning, National Chamber of Commerce and Industry, as well as the National Office of Statistics. He was also member of the mediator’s team for the resolution of the Northern Mali and Northern Niger Conflict, and co-editor of the agreements. He graduated from the University of Law and Economic Sciences. Ambassador of the Federal Republic of Germany to Switzerland and Liechtenstein. Former Director for the United Nations, Federal Foreign Office, Berlin (2010-2013). He worked at the NATO Defense College, Rome (2009-2010). He was also Head of External Relations and Protocol, Senate, Berlin (2005-2009), Head of the Task Force for Global Issues, Federal Foreign Office, Berlin (2002-2005) and Head of the Office of Minister of State Helmut Schäfer, Bonn (1994-1997). He studied Law in Freiburg and holds a PhD in public international law. 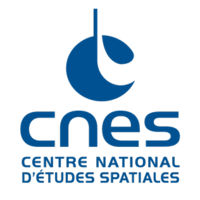 President of the Centre National d’Etudes Spatiales (CNES), the French space agency, since 2013. He is also Chair of the Council of the European Space Agency (ESA) and President of the International Astronautical Federation (IAF). 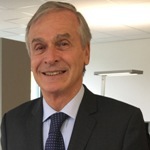 He is a qualified engineer and scientist who has devoted his entire career to the European space programme, holding positions within the French national scientific research agency CNRS, several French ministries, at Novespace and a first stint with CNES before joining Starsem and Arianespace for 12 years, where he was Chairman & CEO. He is a member of the International Academy of Astronautics (IAA). He has received several awards from France, the Russian Federation and the Government of Japan. Ambassador of Paraguay to Switzerland and Liechtenstein since 2014. In 1991, she joined the Ministry of Foreign Affairs occupying different positions, such as Vice Minister of Administration and Technical Issues. She also served as Ambassador to the Federal Republic of Germany, with concurrent accreditation to Poland, Latvia and Denmark (2004-2009). From 2001 to 2003, she was Executive Director of the National Fund of Culture and Arts (FONDEC) and then Technical Advisor of the Presidency of the Republic. She graduated from the Catholic University in Asunción and the Institute of Public Relations in Paraguay. Senior Advisor of KIM & CHANG and Visiting Professor of the Graduate School of International Studies of Seoul National University. Former G20 Sherpa and Ambassador for International Economic Affairs, Republic of Korea. Former Ambassador to France (2012-2015). He also served as Ambassador to the Philippines. Previously, he was Deputy Minister for Trade and Chief Negotiator for the Korea-EU FTA (2008-2010). He held the position of Director-General and Deputy Chief Negotiator for the KOREA-US FTA, (2006-2008). He joined the Foreign Service in 1980. He was also Minister-Counsellor, Korean Permanent Delegation to the Organization of Economic Cooperation and Development (OECD), in Paris (2004-2005). He graduated from Seoul National University and received his Ph.D in Economics from the University of Paris I Panthéon-Sorbonne, France. Director General of the Emirates Diplomatic Academy in the UAE, former Special Representative of the UN Secretary-General and head of the UN Support Mission in Libya (UNSMIL). Former Special Representative of the European Union for the Southern Mediterranean and former European Union Special Representative for Libya. He held several positions with the Spanish government, including Secretary-General at the Spanish Prime Minister’s Office (2008-2011) and Secretary of State for Foreign Affairs at the Ministry of Foreign Affairs and Cooperation (2004-2008). He also became Sherpa for the G20 in 2009. He joined the Spanish diplomatic service in 1989 and was posted in Liberia, Algeria and Greece. He also served as Personal Adviser to the European Union Special Representative for the Middle East Peace Process (1998-2001). Distinguished fellow, Brookings Institution and member of the International Advisory Board of the Atlantic Council of the United States. Former Senior Diplomatic Adviser and sherpa of President Nicolas Sarkozy. He joined the Foreign Service in 1970. He was first posted in Hong Kong and Beijing. In 1988, he was designated to his first position as Ambassador and served as the French Permanent Representative to the United Nations Office in Geneva (1988-1990). He served as Ambassador to the United States, French Permanent Representative to the UN, Senior Diplomatic Adviser and sherpa of President Jacques Chirac. He holds a law degree and is a graduate of Sciences-Po and of the National School of Oriental Languages. 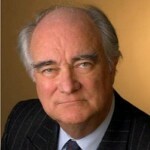 Member of the board of Institut français des relations internationales (Ifri), affiliate emeritus professor in Finance at Paris-Dauphine University, non-executive Chairman of Les Echos, member of the supervisory board of Rothschild et Co, chairman and founder of the Fondation du Risque and Institut Louis Bachelier. He held various positions in the Schlumberger Group and he was CEO of Banque Paribas until the merger creating BNPParibas. He started as a research physicist at the French atomic energy commission (CEA). He graduated from the Ecole Polytech­nique and holds a Ph.D. from Stanford University. Founder of Susan Liautaud & Associates Limited, an international ethics advisory firm. Founder of the Ethics Incubator, a non-profit platform for debate on cutting edge ethics issues. She is a Lecturer in Public Policy at Stanford University in complex ethics issues from technology to humanitarian issues. She also serves as Vice Chair of the Court of Governors of the London School of Economics and Political Science. She was a Visiting Scholar at the Stanford Center on Philanthropy and Civil Society. She was Chair of Doctors Without Borders/Médecins Sans Frontières US Advisory Board. She serves on a number of non-profit boards, including the Global Supervisory Board of Care International and the American Hospital of Paris. She served as Associate Dean for International and Graduate Programs at Stanford University Law School. 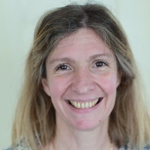 She holds a PhD in Social Policy from the London School of Economics and Political Science and a Juris Doctor from Columbia University Law School, as well as two BAs and a MA from Stanford and a MA from SOAS. H.S.H. 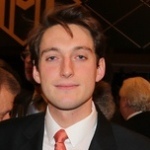 Prince Michael of Liechtenstein is the Founder and Chairman of Geopolitical Intelligence Services AG, as well as President of the Think Tank ECAEF (European Centre of Austrian Economics Foundation). He is Chairman of Industrie- und Finanzkontor in Vaduz (Liechtenstein). From 1978 to 1987 he worked for Nestlé SA in the fields of controlling, financial management and marketing on various markets in Europe and Africa. H.S.H. Prince Michael of Liechtenstein has completed his trainings at the Economic University of Vienna. of Vienna (Austria) with a Magister der Sozial- und Wirtschaftswissenschaften (M.A. in Business Administration). During his studies he took various practical training periods / work with banks and manufacturing companies in Canada, the US and Belgium. Peterson Distinguished Scholar, Kissinger Center for Global Affairs at Johns Hopkins University’s Paul H. Nitze School of Advanced International Studies (SAIS). Formerly, he served as First Deputy Managing Director of the International Monetary Fund (2006-2011) and as Special Advisor to the Managing Director, IMF (September 2011-November 2011). Previously, he served as Vice-Chairman of the JPMorgan Investment Bank and JPMorgan’s Chief Economist. 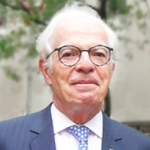 He also was Chief Economist of Salomon Brothers, Inc. (1992-1997). He holds a Ph.D. in economics from Stanford University. Senior Vice President Public Affairs, Total since 2010. 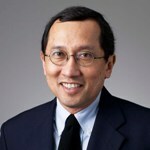 Previously, he was Senior Vice President International Relations, Total (2005-2010). He held various positions in the French Administration and abroad as Financial Attaché. He was Deputy Director, Hydrocarbon Division at the French Ministry of Industry (1990-1994). 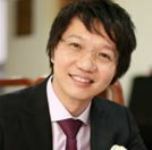 He joined Elf in 1994 as Manager, Middle East New Ventures Division. Then, he held the position of Vice President Middle East Gas & Power, TotalFinaElf and was appointed Managing Director Total E&P Angola in 2002. He is a former student of the Ecole Nationale d’Administration. He graduated from the Institut d’Etudes Politiques, Paris and he holds a Master of Law. 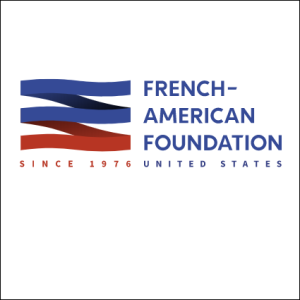 Co-Founder of the French American Foundation. He is a member of the Council on Foreign Relations and the International Institute for Strategic Studies. He began his career at Marshall Plan European Headquarters in Paris in 1950. In 1951, he was assigned to the U.S. Special Mission to Yugoslavia, resident in Sarajevo. He was a naval officer (1952-1955). He was commissioned Foreign Service Officer in 1956. He served as Principal Deputy Assistant Secretary of State for European Affairs (1974-1977) and as U.S. Ambassador to Luxembourg (1977-1981). He graduated from Yale University. Founding editor of Russia in Global Affairs, journal published with participation of Foreign Affairs. Under his leadership since 2002 the journal became one of the most authoritative sources of independent information on foreign policy and international relations in Russia. He is a research professor at National Research University Higher School of Economics in Moscow. He is also research director at Valdai discussion club. In December 2012, he was elected to chair Council on foreign and defense policy (SVOP). He is a member of the presidium of Russian international affairs council. His column appears regularly in FT Exchange blog, The Moscow Times, Russian edition of Forbes magazine, Rossiyskaya gazeta, Gazeta.ru. He graduated from Moscow State University. 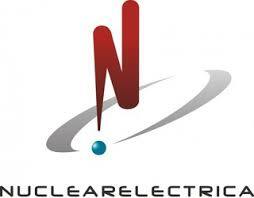 Chief Executive Officer of Nuclearelectrica, the only nuclear energy producer in Romania, since 2013. Before joining Nuclearelectrica, she held the position of Counselor of the Vice-Governor of the National Bank of Romania. Previously, she was General Manager and President of the Board of Directors of Fondul Proprietatea (Property Fund), managing the entire activity of the Fund. She has a long and rich experience in banking and financial consulting sectors. She graduated from the Bucharest Academy of Economic Studies. Egyptian Senator and former member of Parliament. She is also Distinguished Lecturer, Political Science Department, American University in Cairo. She has been a member of the National Council for Human Rights since 2012 and Advisor to the Minister of Labour and Immigration responsible for Egyptian abroad since 2011. 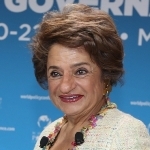 She was a member of the World Bank’s Council of Advisors for Middle East & North Africa Region (MENA). She was advisor to the Supreme Council of the Armed Forces (SCAF) in 2012 and served on the Committee for Policy Development (UN, 2001-2004). She was awarded a fellowship at MIT in 2016. She graduated from Harvard University. She is a prolific writer in English, French and Arabic. She is Officier de la Légion d’honneur. Social entrepreneur working in the fields of International Relations & Development. He is currently working on the post-production of a series of films that aim to explore various global issues concerning politics and economics. Furthermore, he is writing a book for the same purpose. 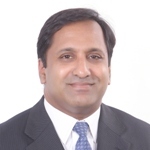 He has worked in the private sector in fields of Information & Communication Technology, Finance, and Outsourcing, with the firms Fidelity Investments, Futures First, and Convergys. He holds a master’s degree in International Relations from the School of Advanced International Studies, Johns Hopkins University; a master in Creación Literaria from Universitat Pompeu Fabra; a bachelor’s degree in Electronics and Communication Engineering from R.V. College of Engineering. Former Minister, former member of the French Parliament and Mayor of Crest since 1995. Member of the steering comittee of the « républicains » party, he was the whip of opposition in the finance comittee, special rapporteur for the budget on ecology, energy, transport and agriculture, president of the friendship group with Russia and vice-president with the United Kingdom as well as member of the delegation for overseas territories. He has been Overseas secretary in 2007. He is a Corps des Mines General Engineer. He graduated from the Ecole polytechnique and the Institut d’Etudes Politiques of Paris. 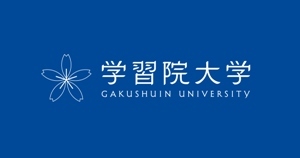 Visiting professor at the Graduate School of Nagoya University of Commerce and Business (NUCB) on energy-climate nexus. 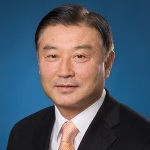 He also serves as auditor of SOC Corporation in Tokyo, chairman of FairCourt Capital in London and strategic committee member of Elion House in Singapore. He has had an extensive career in energy business and policy making as JAPEX advisor, JNOC vice president and director of the International Energy Agency. He has a strong interest in new dimension of energy and environmental policies and measures. He belongs to the Expert Network of the World Economic Forum. 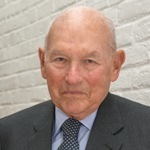 Vice-Chairman International of Rothschild & Cie. Before joining Rothschild in 1989 as general partner, he was Managing Director of Lazard Frères & Cie (1976-1988). Previously, from 1973 to 1976, he was adviser to DATAR (Délégation à l’Aménagement du Territoire et à l’Action Régionale), an office of the French Prime Minister. Graduate of the Institut d’études politiques (Paris), he holds a M.A. in law and has attended the PhD Management Program of Paris Dauphine University. He is member of the board of I.F.R.I. (Institut Français des Relations Internationales). Special Adviser at Ifri. 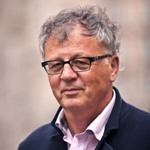 A Visiting Professor at Harvard University he is a regular columnist for Les Echos, and Project syndicate. He wrote numerous books, among others, The Geopolitics of Emotions published by Doubleday. His latest book is Between silence and Secret published by Flammarion in 2011. Director-General of the United Nations Office at Geneva. 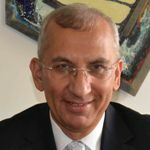 He served as Executive Director of the Kofi Annan Foundation (2008-2011) and as Secretary-General’s Special Representative for Cyprus (2006-2008). Between 2001 and 2006 he was Director for Political, Peacekeeping and Humanitarian Affairs in the Office of the Secretary-General, while serving concurrently as Deputy Chief of Staff for the last two years of that period. He served as Head of the Office of the Under-Secretary-General for Political Affairs at UN headquarters (1997-2001). He began his career in 1979 with the Office of the UN High Commissioner for Refugees. He graduated from Johns Hopkins University and the University of Sussex, United Kingdom. 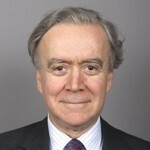 Thierry de Montbrial is Executive Chairman of the French Institute of International Relations (Ifri), which he founded in 1979. He is Professor Emeritus at the Conservatoire National des Arts et Métiers. In 2008, he launched the World Policy Conference. He has been a member of the Académie des Sciences Morales et Politiques of the Institut de France since 1992, and is a member of a number of foreign Academies including the Russian Academy of Sciences. 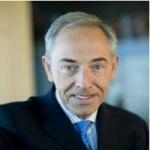 He serves on the board or advisory board of a number of international companies and institutions. Thierry de Montbrial chaired the Department of Economics at the Ecole Polytechnique from 1974 to 1992. 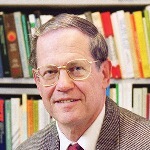 He was the first Chairman of the Foundation for Strategic Research (1993-2001). Entrusted with the creation of the Policy Planning Staff (Centre d’Analyse et de Prévision) at the French Ministry of Foreign Affairs, he was its first director (1973-1979). He has authored more than twenty books, several of them translated in various languages, including Action and Reaction in the World System. The Dynamics of Economic and Political Power (UBC Press, Vancouver, Toronto, 2013). He is a Commander of the Légion d’honneur, Grand Officer of the Ordre National du Mérite. He has been awarded the Order of the Rising Sun – Gold and Silver Star, Japan (2009) and other state honors by the French and several foreign governments. Thierry de Montbrial is a graduate of the Ecole Polytechnique and the Ecole des Mines, and received a Ph.D. in Mathematical Economics from the University of California at Berkeley. Chairman of the High Level Group on Own Resources, European Commission. 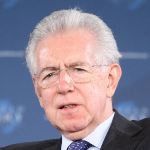 Former Prime Minister of Italy and President of Bocconi University, Milan. He was also for ten years a member of the European Commission, in charge of the Internal market, Financial services and Tax policy (1995-1999), then of Competition (1999-2004). In addition to a number of high-profile cases (e.g. 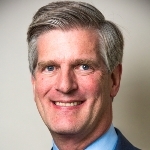 GE/Honeywell, Microsoft, the German Landesbanken), he introduced radical modernization reforms of EU antitrust and merger control and led, with the US authorities, the creation of the International Competition Network (ICN). 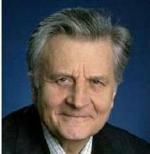 Prior to joining the European Commission, he had been professor of economics and rector at Bocconi. He graduated from Bocconi University and pursued graduate studies at Yale University. Former Minister of Foreign Affairs and Cooperation of Spain (2004-2010). He served as Director of the Institute of Cooperation with the Arab World (1991-1993) and was appointed General Director of Foreign Policy for Africa and the Middle East (1993-1996). He also held the position of Spain’s Ambassador in Israel (1996). He was EU Special Representative for the Middle East Peace Process (1996-2003). From 2010 to 2011 he joined parliamentary activity and ran to be elected Director-General of the FAO. From 2012 to 2013 he promoted the signature of the International Treaty for a Global Dry Land Alliance in Qatar and was member of the high level advisory panel of the president of the 67th UN General Assembly. Currently he is Senior Advisor of Sustainable Development Solutions Network of the Earth Institute at Columbia University, member of the Leadership Council of the UN Sustainable Development Solutions Network (SDSN) and president of the SDSN Spanish Network, REDS. Director of the Pharos Observatory of cultural and religious pluralism and Coordinator of the political group of the OSCE Minsk Process on Ukraine. Former EU Special Representative for Central Asia and for the crisis in Georgia. He began his diplomatic career in 1971. He served at the French Embassy in Moscow. He also served as Diplomatic Advisor to the President of the French Republic. He was Ambassador to the Russian Federation (1992-1996) and was also accredited, while in residence in Moscow, to Georgia, Moldova, Mongolia, Tajikistan and Turkmenistan, and to Kyrgyzstan. He served as Ambassador to the People’s Republic of China and then to the Holy See. He is a graduate of the Institut d’Études Politiques in Paris, of the Paris Assas Faculty of Law and of the Ecole Nationale d’Administration. Director and founder of Mourre and Co specializing in oil, gas and commodities since February 2016. 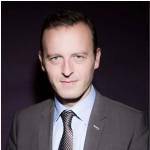 He is Managing Director at Natixis (commodities departments), he is also advisor of a portfolio of companies in the commodities sector. He was previously Managing Director, Vice Chairman of the Commodities Division for Morgan Stanley with a focus on Emerging Markets specifically the Middle East and Africa. He joined Morgan Stanley in 1986. Previously, he worked for the French Ministry of Foreign Affairs as Cultural Attaché in Hong Kong, then he joined Elf Aquitaine (today Total) in the International trading oil division. He holds a Master of Sciences in business administration from Sup. de co. Marseille, a D.E.A in Business Administration from ESSEC/ IAE Aix en Provence and a D.E.S.S in international trade and transportation from Aix Marseille University. 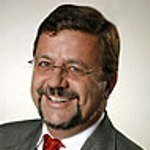 Architect and Urban Planner, Klaus Müller GMBH, Germany. He is a practitioner and researcher on the issues of urban sustainability and mega-urbanization. He has worked intensively on urbanization challenges within the Middle East and North Africa region, China, and Europe, and has actively participated in a variety of international conferences, competitions, and workshops on the topic. He also took part in regional leadership programs, including the U.S.-Middle East Partnership Initiative in Washington, DC and Young Arab Leaders in Kuala Lumpur. He graduated from the Technical University of Berlin, Tongji University, Shanghai, and the Ecole Nationale d’architecture, Rabat. Former Governor of the State of West Bengal. Former Senior Advisor and National Security Advisor to the Prime Minister of India. Led India in institutionalized security and strategic dialogues with several countries including Brazil, France, Japan, Sri Lanka, Germany, Russia, UK and the USA. Prior to this, he was Director of the Intelligence Bureau and Chairman of the Joint Intelligence Committee. He also headed the Prime Minister’s Task Force on Developing an Integrated Capability to address Internal Security Challenges. Has dealt extensively with a whole range of issues concerning internal, national and global security, including aspects such as Counter-Terrorism, Counter-Intelligence and Strategic Analysis. Holds a Master’s Degree in Economics from the University of Madras. President, ECE Consultants SAL. He was a consultant at the OECD. He is co-founder and was Chairman of the Economic Department at the Lebanese University. He has been Chairman at the National Investment Guarantee Corporation since 1993. He was economic and financial advisor at Qatari Diwan Amiri (2000-2005), and strategic advisor to the Chairman at Fransabank SAL (2005-2007). 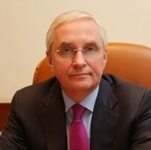 Since 1982, he has been Chairman and CEO of ECE Group. He received a Master’s Degree in Economics from the American University of Beirut, and a Ph. D. in Economics from the Ecole des Hautes Etudes en Sciences Sociales. Director, Institute of Oriental Studies, Russian Academy of Sciences (RAS) since 2009. He is also Professor and Corresponding Member, RAS. 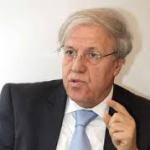 He has served as Editor-in-chief, “Vostok (Oriens)” journal since 1998, as President of the Center for Strategic and Political Studies since 1991 and as Goodwill Ambassador for the Alliance of Civilizations since 2007. He was Head, Arab countries Department, Institute of Oriental Studies, RAS (1984-1989), Deputy Director, Institute of Oriental Studies, RAS (1989-1994), Visiting Professor, American University, Cairo (1991) and Head, Center for Arab Studies, Institute of Oriental Studies, RAS (1994-2009). He was also Visiting Analyst, Abu Dhabi TV Satellite Channel, UAE (2001-2002), Visiting Professor, University of California in Berkeley (2003) and Member, High Level Group, UN Alliance of Civilizations project (2005-2006). 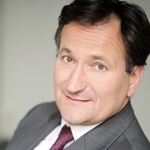 Chief Technology Officer and Group Executive Board member, Capgemini. He began his career in venture capital. 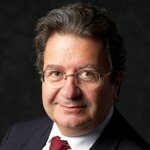 In 1986, he was appointed General Manager of the first Swiss private-public partnership company for technology transfer. He worked as an independent turnaround manager for several European technology corporations (1994-1997). In 1997, he joined the corporate recovery practice of Ernst & Young Consulting Switzerland. In 2001, he became vice president for business development of the newly formed Telecoms Medias Network (TMN) global business unit of Capgemini Ernst & Young. 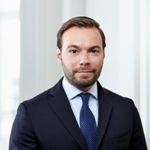 In 2004 he was appointed group sales director and, in 2006, he joined Capgemini’s Executive Committee.From 2009 to 2010, he led the application services business unit in the Nordics and Central Europe. Between 2011 and 2015, he was in charge of the infrastructure services strategic business unit. Since 2016, he was overseeing the Group’s Competitiveness Program which he put in place. He also supervised Capgemini’s India operations. In January 2018, Patrick Nicolet was appointed Chief Technology Officer (CTO), in charge of the technology and innovation agenda for the Group. He also oversees the Group internal information systems and cybersecurity. He holds a degree from the University of Lausanne. 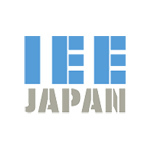 Board Member, Director, The Institute of Energy Economics, Japan (IEEJ). As a Board Member for the Institute and the Director in Charge of the Energy Data and Modelling Center, she is responsible for quantitative and qualitative analyses on energy and climate change policy issues. 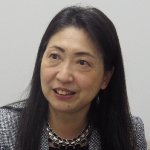 Her modeling team prepares the annual IEEJ Energy Outlook, continues to develop a Practical Approach to Climate Change and performed analyses that contributed greatly to Japan’s debate on a national energy mix. She has been leading miscellaneous international and regional programs in the area of energy cooperation through IEA, APEC, ERIA and IPEEC. She is currently a Council member of the International Association for Energy Economics (IAEE). Former Ambassador of Switzerland to France (2002-2007). He joined the Foreign Service in 1971. He held several positions such as Ambassador to Guatemala and to other States of Central America, Head of the Swiss Delegation to UNESCO, Ambassador to the United Kingdom and Permanent Representative of Switzerland to the international organizations in Geneva. He contributes regularly to the Swiss newspaper Le Temps. He studied law and international relations at the University of Fribourg and the Graduate Institute for International Studies in Geneva. Chairman, Chamber of Commerce and Industry France India, since 2009. He founded the India Trade Centre in 2007. He worked in the high-tech and internet industry, holding managing positions for technology leaders such as Netapp and Enition. He started in the luxury goods industry, heading several demanding positions, from Marketing to Business development, within famous brands (Dior, Celine, Lagerfeld, etc.) which he helped develop on the American continent. He holds a Bachelor’s degree in Economics from Sorbonne University and a Master’s Degree in Science and Techniques from Dauphine University, Paris. President of Okamoto Associates. 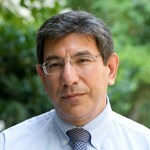 He is a Senior Research Fellow at MIT/CIS. 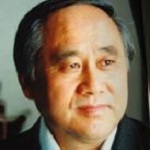 He was a career diplomat in Japan’s Ministry of Foreign Affairs (1968-1991). His overseas postings were at Paris, Cairo and Washington. He was a Special Advisor to Prime Minister Ryutaro Hashimoto (1996-1998) and he was again a Special Advisor to Prime Minister Jun-ichiro Koizumi (2001-2004), also serving as the Chairman of the Prime Minister’s Task Force on Foreign Relations. 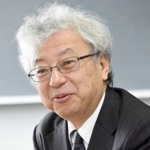 He is a visiting professor of international relations at Ritsumeikan University as well as Tohoku University. He has written many books on Japanese diplomacy and is a regular contributor to major newspapers and magazines. Minister and special Advisor to the Prime Minister of Ethiopia. He is the former Mayor of Addis Ababa. 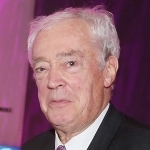 He serves as Chair of the board for many leading public organisations. 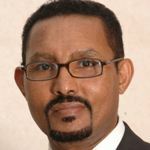 He serves as Chair of the board of the Ethiopian Railway Corporation (ERC) and Vice-Chair of the board of Ethiopian Airlines (EAL). He is the coordinator of the National Export Coordinating Committee (NECC) and a member of the Ethiopian Investment Board (EIB), both chaired by the Prime Minister. He holds a PhD in development studies from SOAS, University of London, and is research associate at the Centre of African Studies in the University of London. Chairman of the Institute for International Economic Studies (IIES) and Visiting Professor at the Graduate School of Public Policy, University of Tokyo. Formerly, he held several positions at the World Trade Organization including member of the Appellate Body (2008-2012), Japan’s Permanent Representative (2002-2005), Chairman of the General Council (2004-2005) and Chairman of the Dispute Settlement Body (2003-2004). He served as Ambassador to the Republic of Korea (2005-2007) and to the Kingdom of Saudi Arabia (2000-2001). He holds a degree in law from the University of Tokyo. Senior Fellow, OCP Policy Center, Former Minister of Economy and Finance, Morocco. He was appointed Minister of Economy in 1998 and Minister of Finance in 2002. He is professor at Mohammed V University and chairs the Association of Moroccan Economists and Union of Arab Economists. After over 20 years as member of the Municipal Council, he was Mayor of Rabat from 2009 to 2015. 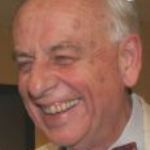 He has authored many books and papers on economic theory, financial economics, international and economic relations, and the Euro-Mediterranean space. He holds a PhD in Economics from the University of Paris. President of the Korea Foundation for Advanced Studies. He served as Ambassador and Permanent Representative of the Republic of Korea to the United Nations (2008-2011), Deputy Minister for Policy Planning and International Organizations in the Ministry of Foreign Affairs and Trade and Ambassador to Kuwait (2003-2005). He also served as Secretary to the President of the Republic of Korea for International Security (2002-2003). He holds a Bachelor’s Degree from the Department of Chinese Language and Literature and a Master’s Degree from the Graduate School of Law at Seoul National University. EFG Bank, Geneva. 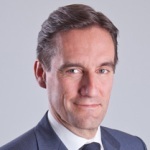 He began his career at Bank Brussels Lambert (BBL), in Brussels and Singapore, and afterwards pursued his career at BNP Paribas Fortis and Dexia Group, where he was CEO of Dexia Switzerland, before joining Geneva Cantonal Bank (BCGE) as Head of Private Banking and Member of the Executive Board. 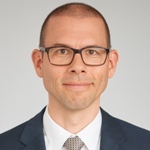 He also served as Head of Private Banking Romandie at BSI before joining EFG Bank as, successively, Head of Private Banking Geneva and Vice Chairman of EFG Asset Management and Head of the Independent Asset Managers. He holds Management, Finance and Tax Master’s degrees from the Universities of Brussels (Solvay Business School) and Leuven (UCL-Business and Administration Business School IAG). Seasoned Executive operating in Eastern Europe since the early ’90 (Hungary, Bulgaria, Ukraine & Romania). Dual competence in Industrial & FMCG. Internationally, he re-branded a major Industrial Group operating globally and for a FMCG Group launched a product that can be found in most markets. He si currently Board Member of Posta Romana and active member of different Think Tanks.He is graduated from Stanford University. Chairman of the Board and Chief Executive Officer, Total. He held various positions in the French Industry Ministry and in ministerial offices from 1989 to 1996, including Environment and Industry Technical Advisor to the Prime Minister (1993-1995) and Chief of Staff to the Information Technology and Space Minister (1995-1996). He joined Total in 1997, as Chief Administrative Officer of Total E&P Angola and became Group Representative in Qatar in 1999. In 2002, he was named Senior Vice President, Finance, Economics and Information Systems in Exploration & Production. In 2006, he became Senior Vice President, Strategy, Business Development and R&D in Exploration & Production. In 2012, he was appointed President, Refining & Chemicals and member of the Executive Committee. He is a graduate of École Polytechnique and an Engineer of the French Corps des Mines. First Vice President National Liberal Party, member EPP. He served as Minister of Justice of Romania (2008-2012), Interim Prime Minister in 2012 and Interim Minister of Foreign Affairs in 2009. 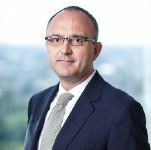 He was also Senior Managing Partner at Zamfirescu Racoţi Predoiu, Law Company (2007-2008), Senior Managing Partner at Racoţi – Predoiu, Law Company (1995-2006). He co-authered “Companies”, second edition, revised, Bucharest, 2003. He graduated from the University of Bucharest and Caen Bar, France, Training program in Commercial Law Practice. President of Alcen, group composed of high technology companies in the fields of defense, energy, medical machines and aeronautics. He started his career as President of Tabur Marine and of Dufour. He served at Matra Group as Senior Vice President in charge of 4 departments (car electronics, robotics, computer-aided design and watchmaking). He set up and managed a telecommunication operator, Kaptech and an equipment manufacturer, Cirpack. He studied at the Ecole Polytechnique and at the Insead. Vice Chairman & Secretary General of Shanghai Development Research Foundation (SDRF). After graduating from Kennedy School of Government at Harvard in 1987, he entered Harvard Institute for International Development and did research work. In 1995, he returned to China as Chief Representative and Managing Director of New York Life until 2003. Prior to study in the US, he conducted a research as Assistant Director at the Institute of World Economy, Shanghai Academy of Social Sciences. He is the author of “Chinese Economy: The Next 30 Years” (2011), “Rethinking the International Monetary System – 70 Years after the Bretton Woods Conference” (2014), and “Global Financial Governance: Challenges, Goals and Reforms” (2016). Executive Coach and Business Consultant. 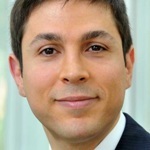 Former Western Europe Director, General Counsel and Vice President, Corporate and Governmental Affairs ,Europe, Middle East and Africa (EMEA) for DuPont de Nemours. She holds an Advanced Master Degree of International, Comparative and European Law from the Law Faculty of Paris . President of the Israel Institute (Washington and Jerusalem). 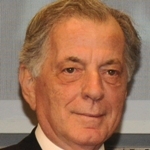 Currently he is Professor Emeritus of Middle Eastern History at the Tel Aviv University, Vice Chairman of the Institute of National Security Studies (INSS) in Tel Aviv and a Distinguished Fellow at the Brookings Institution. 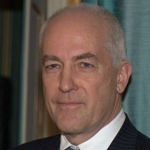 He served as Israel Ambassador to the United States and former Chief Negotiator with Syria in the mid 1990s and as the president of Tel-Aviv University (1999-2007). 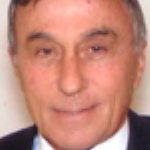 He has been a member of Tel Aviv University’s faculty since 1971. His most recent book is The Lingering Conflict: Israel, The Arabs and The Middle East (Brookings, December 2011). His biography of Yitzhak Rabin was published by Yale University Press in 2017. CEO, UniCredit România. He started to work at the Romanian Commercial Bank (1991). He was appointed Executive Vice President of the C.E.C. Bank (2000), and he then became Retail Executive Vice President of the Raiffeisen Bank in Romania (2001). 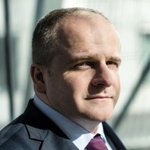 He was appointed CEO of UniCredit Romania in 2005. He was also President of the Advisory Board of the Prime Minister of Romania. He graduated from the Polytechnic University of Bucharest in engineering, and from the Romanian American University in economy. He also graduated from an MBA program with the Conservatoire National des Arts et Métiers in Paris (Romanian branch), and from Harvard Business School (AMP). Executive Secretary of the IEC Affiliate Country Programme, a free programme that comprises 83 developing countries – half of all countries that participate in the IEC. 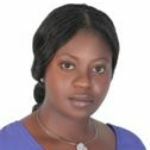 She is also the IEC liaison Officer for Developing Countries and the point of contact for ITU-D, UNIDO, UN-SE4ALL Practitioner Network and WTO TBT Committee. She coordinates the launch of IEC Africa Regional Centre (IEC-AFRC), inaugurated in Nairobi, Kenya, November 2015. Prior to joining the IEC Affiliate Country Programme Secretariat in 2003, she worked in the Technical Department of the IEC Central Office. She holds a Diploma from the Zurich Interpreters’ School (DOZ) – Zurich University, in English, French, German and Spanish. 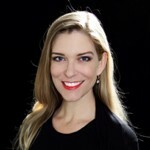 Anita Ricquier is a Singaporean lawyer by training. 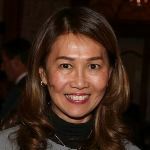 She is an entrpreneur as well as the founder and chief executive officer of Camelot Trust Pte Ltd. This is a corporate services company based in Singapore, with clients drawn from the region and the rest of the world. Camelot provides its clients with advice and services for doing business in Singapore as well as family office matters. 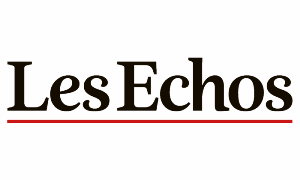 Virginie Robert is the Foreign Desk Editor of Les Echos, the French business newspaper. Previously, she was the daily’s New York correspondent (2008-2012), where she covered the financial crisis and the two Obama presidential elections. Earlier in her career at Les Echos, she held various positions as an IT writer and created in 2000 a special section dedicated to the internet economy and to innovation. Her first job was as a business writer for “01 Informatique”, the leading IT trade magazine in France. She is the author of a book “L’irrésistible montée de l’économie sociale », Editions Autrement, published in March 2007. She holds a Bachelor of Arts from Valparaiso University, IN. and a Master of Journalism from Medill School, Northwestern University, ILL. Virginie is the vice-president of the European-American Press Club in Paris and a member of the French Diplomatic Press Association. 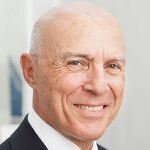 Senior Advisor, Schlumberger, after serving as President of Schlumberger Business Consulting, an independent business unit of Schlumberger that he founded in 2004. An engineer by training, he joined Schlumberger in 1986 as a field engineer and spent the first years of his career working in Europe and Africa for major Oil and Gas companies. After 6 years spent with ICME, the leading strategy consultancy in Switzerland, he was made a partner by AT-Kearney in 1996. 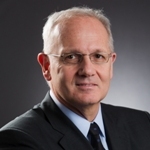 Following the acquisition of AT-Kearney by EDS, he was appointed CEO for EDS France. He rejoined Schlumberger in 2002. He graduated from Ecole polytechnique and completed the INSEAD MBA program and a Finance program at IMD. Chairman of the Board of Directors, Cantonal Bank of Geneva. 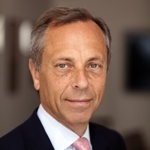 He is also member of the Board of Directors of Nestlé, Swatch Group and SwissRe. He represented Switzerland as Governor of the IMF, Washington. He also served as Chairman of the Board of Directors of the Bank for International Settlements in Basel (2006-2009). At the end of March 2007, he was designated Switzerland’s representative in the Financial Stability Forum. He joined the Swiss National Bank in 1979, where he was, among others, Vice-Chairman and then Chairman of the Governing Board. He holds a doctorate in economics from the Institut Universitaire de Hautes Etudes Internationales (Graduate Institute of International Studies), Geneva. French Ambassador to Switzerland and Liechtenstein since 2014. Former diplomatic counsellor of the French government (2012-2014). He also served as Ambassador to Hungary (2007-2012), Director of Cabinet of the Deputy minister of Cooperation, Development and Francophony (2005-2007), Ambassador to Uganda (1998-2000). From 1988 to 1990, he was Director of Development at Canal+ TV. He held the position of Counsellor at the Ministry of Industry (1986-1988). He started his career as Secretary in the Political section of the French Embassy in Moscow. He graduated from the Institut d’études politiques. He is an Alumnus of the Ecole nationale d’administration, France. Managing director of Sogeric and honorary consul of Ecuador in Marseille. He is also the president of the Mediterranean Institute he founded in 1993 and president of the Santé Partners association. He held various positions within CMA-CGM group, the world’s third largest container shipping group, first as Vice-President (1999-2004), and as Advisor to the President (since 2004). 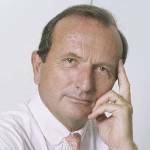 He served as President of the Chamber of Commerce and Industry Marseille-Provence (CCIMP) (1992-1997), and as Chairman of the board of the Port Autonome de Marseille (Autonomous Port of Marseille) (1995-1999). Editor in chief of SonntagsZeitung since December 2013. Previously he was member of the editorship of the Tages-Anzeiger, a daily newspaper from Zurich during four years. 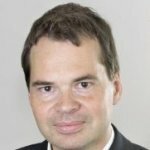 As a journalist, he covered UBS during the financial crisis and Swissair until the bankruptcy of the national airline. For this he was named investigative journalist of the year 2013 and got in 2002 the Zürcher Journalistenpreis. He holds a doctorate of economics from the university of Zurich. Chairman of the Institute for Global Economics; former Minister of Finance (1987-1988). He held several key positions in the Korean government (1979-2011), including Senior Secretary to the President for Economic Affairs (1983-1987), Ambassador for International Economy and Trade (2000-2002), Special Economic Adviser to the President (2008-2009), Chairman of the Presidential Council on National Competitiveness (2008-2009), and Chairman of the Presidential Committee for the G20 Summit (2009-2011). He also served as Special Consultant to the International Monetary Fund (1989-1998) and Chairman of the Korea International Trade Association (2009-2012). He graduated from Seoul National University and received his MBA and Ph.D. from the University of California in Los Angeles. Chancellor of the Pontifical Academy of Sciences and the Pontifical Academy of Social Sciences since 1998. 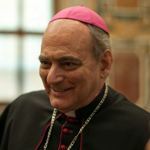 In 1999, he was appointed Secretary Prelate of the Pontifical Academy of St. Thomas Aquinas. In 2001, His Holiness John Paul II consecrated him titular Bishop of Vescovìo. He was also decorated as Cavaliere di gran croce of the Italian Republic in 1999, official of honour of the Légion d’Honneur by the Republic of France in 2000, Grão Mestre da Ordem de Rio Branco by the Republic of Brazil in 2004, official of the Republic of Austria in 2004, and knight of the Republic of Chile in 2006. Attorney-at-law at Jones Day. His practice focuses on regulatory compliance and encompasses a broad range of government regulations, product safety, installment sales regulations, commercial transactions regulations, foreign direct investment regulation, energy & environment, and competition law. He represents various clients in civil disputes. He spent 35 years at the Ministry of Economy, Trade and Industry. During his tenure as Director-General of the Trade Policy Bureau and Vice Minister for International Affairs, he worked in the field of international trade policy. 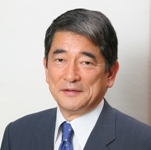 He served as Chief Executive Assistant to Prime Minister Yukio Hatoyama (2009-2010). 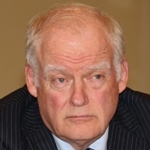 Former General Commissioner for Investment (2014-2018). 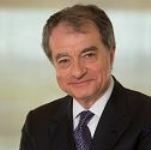 He served as Chairman of the French foreign affairs council until 2017 and currently serves as special representative of the French foreign minister for the franco japanese partnership. 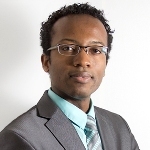 He is the President of Initiative France, a not for profit organization whose aim is to finance the creation and development of small enterprises. He was Chairman and CEO of Renault (1992-2005). During his tenure, he was also President of the Management board of Renault Nissan BV (2002-2005). Formerly, he was a Civil Servant at the Budget Department and then served as chief of staff of Laurent Fabius, who was Minister of Budget in 1981, Minister for Industry and Research in 1983, and Prime Minister (1984-1986). President of IBEI, Institut Barcelona d’Estudis Internacionals. He is also Vice-President de Telefónica Chile and Councillor of Telecomunicaciones de São Paulo S/A –TELESP. 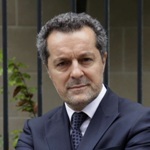 Previously, he was President of CIDOB (2000-2012) and Chairman of the Board of Trustees of the Museu Nacional d’Art de Catalunya. He also served as Vice-President of the Spanish Government, Minister of Defence and Mayor of Barcelona. He holds a B.A. in Economics from the University of Barcelona and a Ph.D. in Economics from Universitat Autònoma de Barcelona (UAB). 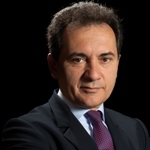 Vice President of the Società Italiana per l’Organizzazione Internazionale (SIOI). Italian Ambassador (rtd. ), former career diplomat. His last position was Italian Permanent Representative to the North Atlantic Council (NATO) in Brussels (2010-2013). 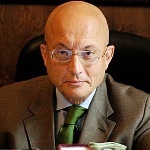 Before he has been Ambassador to Belgrade (1997-2000), Teheran (2000-2003), Director General for Mediterranean and Middle East (2003-2006) and Ambassador to Beijing, accredited also to Ulan Baatar (2006-2010). He attended the Institute of Political Studies of Paris and graduated in Law from “La Sapienza” University in Rome. Currently President of the Italian company for the Mount Blanc Tunnel (SITMB), President of the Italian Manifacture of Tobacco (M.I.T. 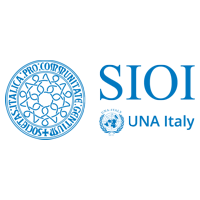 ), President of Italy-Serbia Association and Vice President of the Italian Society for International Organization (SIOI). Member of the Israeli Knesset for the Hatnua Party. 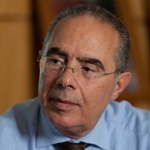 Born in Morocco, he emigrated to Israel in 1957 and served in a number of high-level cabinet positions, including Minister of the Interior, Minister of Housing and Construction, Minister of Finance, Minister of Justice, Minister of Transportation and Minister of Education, Culture and Sports. 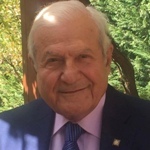 He was first elected to the Knesset in 1981 and served as Mayor of the City of Yavne. 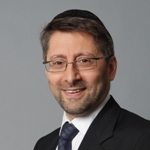 He holds a BA and a MA from Bar-Ilan University. Partner in the Geneva private client practice of Froriep, one of Switzerland’s main law firms with offices in Geneva, Zurich, Zug, Lausanne, London and Madrid. He has been with Froriep since 2005 and became a partner in 2015. 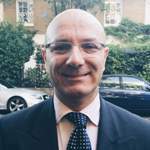 During 2010 and 2011, Olivier was seconded to a prominent London law firm and then spent several months in the London office of Froriep. He combines expertise and experience in advising international high-net-worth individuals on estate and tax planning, asset protection, relocation and philanthropy. 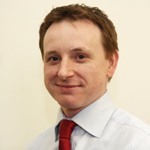 He is a member of the Society of Trust and Estate Practitioners (STEP) and a committee member of STEP Geneva. He graduated from the University of Geneva. Landry Signé is a David M. Rubenstein Fellow in the Global Economy and Development Program at the Brookings Institution and Founding Chairman of the Global Network for Africa’s Prosperity. He is also fellow at Stanford University’s Center for African Studies, chair of the Faculty Senate Committee on Research and Creative Activity and assistant professor of political science at UAA, and lecturer in Emerging Markets at Stanford University’s Continuing Studies. His research and policy work focuses on the transformation of African economies, governance, political processes, development, and the role of international actors in Africa. He is the recipient of 2014 Chancellor’s Award for Excellence in Research and Creative Activity and the Governor General of Canada Award. Chief Economist, Corporate Strategy of Total. He is following the evolution of economic activity and the oil and gas markets in the short term and the long term, on the upstream and downstream sides and their impact on Total strategy. Before he joined Total in 1999, he worked at the French Ministry of Finance, in the Treasury Department, following economic activity. He graduated from the Ecole Polytechnique, France and from the Ecole Nationale de la Statistique et de l’Administration Economique. He also holds a Master in International Economics and Finance from Paris Dauphine University. Senior Fellow and Adviser to the Board of Geopolitical Information Service AG. His experience spans financial services, geopolitical risk analysis and scenarios, cross cultural Management and conflict resolution and mediation, and financial diplomacy. He worked in Japan, Europe, the Middle East and North Africa and Turkey. President of the National Science and Art Foundation. 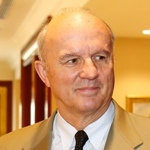 Former President of the Romanian Academy (1998-2006). Professor of modern literature at the University of Bucharest. Between 1970 and 1973 he was professor at Sorbonne University, Paris. He published about 30 books on the Romanian and European literature among which Ficţiunea jurnalului intim I-III (The fiction of the intim diary I-III), Genurile biograficuluiI-II (Biographical genre I-II), Tânărul Eugen Ionescu (The young Eugène Ionescu), Mircea Eliade un spirit al amplitudinii (Mircea Eliade A spirit of Amplitude), Întoarcerea autorului (sau Contre, Sainte-Proust). He holds a PhD in Philological Sciences. President of the Section of Biological Sciences of the RomanianAcademy. She is also Executive President of the National Science and Art Foundation (FNSA) and Head of the Institute of Cellular Biology and Pathology “N. Simionescu” (ICBP) since 1995. She was Visiting Professor at YaleUniversity, McGillUniversity and ColumbiaUniversity. She was also a Research Associate at Rockefeller University, New York. She is PhD in Biological Sciences, at the University of Bucharest. She has important scientific achievements and is co-founder together with Prof. Nicolae Simionescu of the Institute of Cellular Biology and Pathology, Bucharest, Romania. Founder and President of Synergia Foundation, a strategic think tank. He is also the President of the Synergia Group. He is a Commissioner with the Global Commission for Internet Governance (GCIG) and a member of the Tri Lateral Commission. He served on the advisory board member of the Centre for New American Security (CNAS), the International Council of the Belfer Centre for Science and International Affairs at The John F. Kennedy School of Government at Harvard. He has been advisor to several international organizations such as The World Health Organisation, Médecins Sans Frontières and AEDES-EU. He is a university topper, holds post graduate degree, is a graduate from the Harvard Business School and a Research Associate at the Massachusetts Institute of Technology. He is currently pursuing his doctoral studies in strategic security. French Ambassador. He worked for the French Foreign Ministry and the Ministry of Cooperation as an advisor. He worked in numerous embassies all over the world, notably as Advisor and Consul General before being appointed as French Ambassador to Central African Republic (1996-2001), to Nigeria (2001-2003), to Gabon (2003-2008), and to Côte d’Ivoire (2009-2012). He was a Representative to the ECOWAS and to the ECCAS. He is now alternate deputy of Oise, and Chairman of Eurafrique Stratégies SAS. He graduated from Paris II Assas University in Public Law. Ambassador of Poland to Switzerland since 2015. Previously, he served as Undersecretary of State for International relations at the Chancellery of the President of Poland (2010-2015). He was also Acting Director General of the Speaker of Sejm (Lower Chamber of the Parliament) (2007-2010). 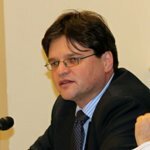 From 2005 to 2007, he was Advisor to the Deputy Speaker of Sejm. He was also a freelance journalist (2003-2007). He graduated from Warsaw University and the University of Hamburg. Focal point and policy advisor at UNDP for all G20 related matters. He is Coordinator for G20 and Multilateral Affairs, Strategic Policy since 2014. He acts as UN Sous-Sherpa in the G20, and UNDP representative in the G20 Development Working Group. 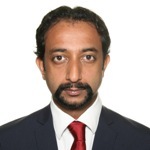 He joined UNDP in 2007 as policy specialist on global governance issues. Prior to joining UNDP, he was the Executive Director of the European Think Tank “Confrontations-Europe”. Previously, he was a policy advisor on globalization issues to Mr. Francois Hollande. He was admitted at the National School of Administration (ENA), Paris. He holds a Master Degree in Political Science and International Relations from ‘Sciences-Po’ Paris, and a Degree in Philosophy from the Paris-XII University. Director, Strategic Programme Leader, Food Security and Nutrition in FAO. Between 2008 and 2015 he was Director of the Agricultural Development Economics Division of FAO. He also served as Secretary of the Committee on World Food Security (2007-2015). Before joining FAO in 1989, he was Assistant Professor of Agricultural Economics at the University of Illinois in Urbana Champaign. He holds a degree in Economics from the Economics University of Athens, Greece, a Master’s Degree in Agricultural Economics from the University of Georgia, USA and a Ph.D. in Agricultural and Resource Economics from the University of California at Berkeley. 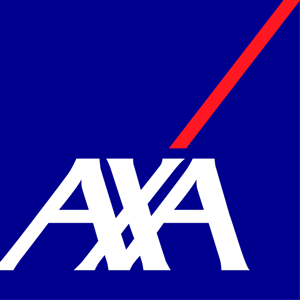 Chief executive of AXA South West France. Before joining AXA France in 2013, he served the French government for over a decade in the areas of diplomacy and politics, European Union, agriculture policy reform and global food security. He was Chief of staff of the French Ministers of European Affairs and then of Food and Agriculture. He graduated from the Ecole Nationale d’Administration (ENA) and Sciences Po Paris. He is Yale World Fellow 2012 and Young Global Leader 2014. President of Club România. He started his career in journalism in 1990 as editor of the Tineretul Liber newspaper. He then worked as a press correspondent for a Romanian newspaper and TV channel, in Hungary and Republic of Moldova. He then became personal advisor for the Secretary of State for the Romanians Abroad (2000) and for the Minister of Tourism (2001-2003). He was Under Secretary of State for Foreign Trade (2009). 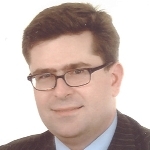 He is member of Chatham House, London, and also member of the Aspen Institute Romania. He graduated in Journalism and Communication Sciences. President of Berit International Holding SA, President of Batiliban-France, Franco-Arab Consortium for development, board member of the executive committee of the Franco-Arab Chamber of Commerce, Paris, board member and founding member of the Lebanese American Chamber of Commerce, Beyrouth. 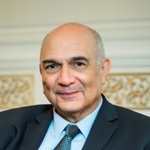 He was Advisor to the Lebanese President for the French-speaking world (1986-1988) and Advisor to the Minister of Finance for the private sector (1999-2001). 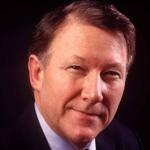 He is the author of numerous books and studies on economic development, environment and land-use planning. He graduated from the Institut d’Urbanisme, Paris-Sorbonne University. Deputy Director, Monetary Authority of Singapore. 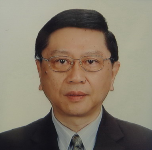 He is the Secretary General (Southeast Asia) and Board member of the Africa-South East Asia Chambers of Commerce (ASEACC), based in Singapore. Previously, he served as a Senior Investment Officer at the International Finance Corporation (IFC), a member of the World Bank Group. Prior to IFC, he was Deputy Director of the Emerging Markets Division of the Ministry of Trade and Industry (MTI). Specific to Africa, he has visited over 10 countries in Sub Saharan Africa and played a key role in formulating Singapore’s economic strategies for Africa. Chairman of The Sasakawa Peace Foundation since 2015. 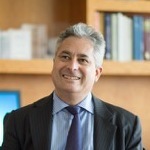 Former Executive Director of the International Energy Agency (IEA) (2007-2011). He began his career in 1973 in the Ministry of Economy, Trade and Industry (METI) in Tokyo and has served in a number of high-ranking positions in METI, including Director-General of the Multilateral Trade System Department. He served as both Deputy Director and Director for Science, Technology and Industry (DSTI) of the Paris-based Organisation for Economic Co-operation and Development (OECD). Upon return from the IEA, he became Global Associate for Energy Security and Sustainability at the Institute of Energy Economics, Japan and Professor, Graduate School of Public Policy at the University of Tokyo. He holds a degree in Economics from the University of Tokyo and a MBA from Case Western Reserve University, Cleveland, Ohio. Chairman of Energy Security Group of the Federation of Indian Chambers of Commerce and Industry (FICCI). He is also the Founder President of New Delhi-based World Energy Policy Summit. 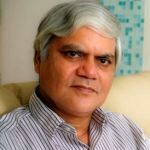 He is India’s leading expert, thinker, speaker and television commentator on energy issues and developments and had earlier served as South Asia Bureau Chief for a number of European business publications, including international oil and gas weekly Upstream. He has authored two books and edited several books and publications. He is a Member of the World Economic Forum Global Agenda Council on the Future of Electricity and also represents India on energy on the BRICS Business Council. He read economics, business, commerce, policy, leadership, diplomacy and international affairs at different prestigious universities in India, Norway and the United Kingdom. Executive Director of The Better Hong Kong Foundation since 2006. 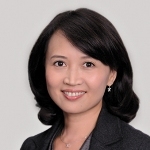 She served as Deputy General Manager of the Chinese Television Network, General Manager of the Hongkong Telecom IMS, Director of Multimedia Services and Director of E-commerce under the Hutchison Whampoa Group. Prior to joining the Foundation, she was the Director of Communications of the University of Hong Kong. She worked for the Tung Chee-Hwa Election Office in 2001 as the Director of Administration Division; and was Deputy Director of the Leung Chun-Ying Election Campaign Office in 2012. She holds a B.A. degree in Social Science and a M.A. degree in Public Administration. 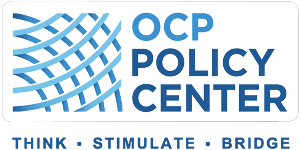 Chairman and CEO of OCP Group. He was an advisor in the Royal Cabinet and also served as Secretary-General of the MENA Economic Summit. In 1998, he was appointed Director-General of the National Telecommunications Regulatory Agency. Then, he joined the World Bank as Lead Regulatory Specialist in the Global Information and Communications Department, and headed the World Bank’s Information for Development Program. He holds a MS and a PhD in Operations Research from the Massachusetts Institute of Technology and received an engineering diploma from the ENPC, Paris. Russian scholar and diplomat, expert on Russian foreign policy and Asia-Pacific region. Rector of the Moscow State Institute of International Relations (MGIMO-University), Ambassador Extraordinary and Plenipotentiary, Member of the Russian Academy of Sciences. 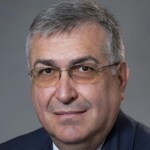 Professor Torkunov holds positions of the Chairman of the UN Association of Russia; President of the Russian International Studies Association, Member of the Academic Council of the Security Council of the Russian Federation; Co-Chairman of the Russian-Polish Group on Difficult Matters (2007-2016). He is Chairman of Moscow Region Civic Chamber, co-president of the Russian Historical Society, co-chairman of the Committee on difficult issues in the history of Russian-Japanese relations, co-president of the Russian-French Civil Societies Forum “Trianon Dialogue”. Chairman of the French Institute of Directors (IFA). She is also founder and CEO of Act III Consultants, a management-consulting firm dedicated to digital transformation. She was Chairman and CEO of Vivendi Universal Publishing, after spending 10 years within the Lagardère group and 5 years within McKinsey. 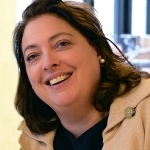 She is a board member of Proximus (Belgacom) and a member of the supervisory board of Tarkett. She is an independent member of the board of Rexel. 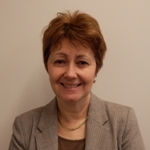 Previously, she was a non-executive Director of Cable & Wireless Plc, Neopost and Darty Plc. 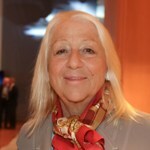 She is also a board member of several non-profit organisations such as IDATE and the French American Foundation. She graduated from Sciences Po Paris and Columbia University (MBA). Former President of the European Central Bank and Honorary Governor of Banque de France. 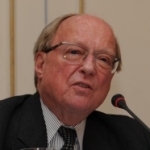 He is Honorary Chairman of the Group of Thirty, Chairman of the Board of Bruegel Institute and Chairman of the Trilateral Commission (Europe). He was assigned to various posts at the French Ministry of Finance. He was an adviser to the President of the Republic. He was chairman of the Paris Club (sovereign debt rescheduling) from 1985 to 1993. He was Chairman of the European Monetary Committee until his appointment as Governor of the Banque de France in 1993. He graduated from the Ecole nationale supérieure des Mines de Nancy, of the IEP of Paris, of the Université de Paris (in economics) and of the Ecole nationale d’administration. He was awarded honorary doctorates by several universities. Ambassador of Argentina to Switzerland since 2013. Previously, he served as Chief of Staff of the Minister of Foreign Affairs (2010-2013) and Director, North America Department (2008-2010). He also worked within the Ministry of Economy and Production (2006-2007). 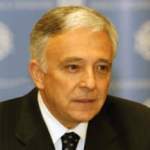 From 1999 to 2005, he was Head of the section for Economy and Trade at the Embassy of Argentina to the EU. He was also General Consul of Argentina in Zurich (1997-1999). Lawyer, he graduated from the University of Buenos Aires. General Secretary of the Fondation Dr Henri Dubois-Ferrière Dinu Lipatti and board member of several charity foundations in Geneva. Member of the board of the WPC Foundation since 2013. A French historian, he was appointed Director of Policy Planning at the French Ministry of Foreign Affairs in March 2013. In this role, he advises the Minister on his strategic decisions and provides background analysis and forecast on international affairs. 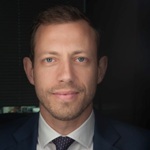 Prior to this appointment, Justin Vaïsse was Senior Fellow in Foreign Policy at the Brookings Institution and an adjunct professor at SAIS (Johns Hopkins University). 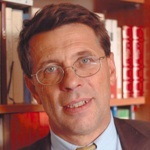 An Associate teacher at the Paris School of International Affairs, Dr. Vaïsse is the author of numerous books on the United States, including Neoconservatism – The Biography of a Movement (Harvard University Press, 2010). His biography of former National Security Adviser Zbigniew Brzezinski was published in France in early 2016 and will come out in English in 2017. Founder of Hubert Védrine Conseil, a public affairs consultancy that specializes in foreign, economic, and geopolitical affairs. He worked as a diplomatic Advisor, Spokesman, and Secretary-General with French President François Mitterrand (1981-1995). He also served as Minister of Foreign Affairs from 1997 to 2002 under the cohabitation government of President Jacques Chirac and Prime Minister Lionel Jospin. In 2004, he was appointed as an Independent Director at LVMH. From 2005 to 2007, he was a member of the High Level Group for an “Alliance of Civilizations” of Kofi Annan. He graduated from the Institut d’études politiques of Paris and the Ecole nationale d’administration (ENA). Historian of medieval China, member of the Institut de France, professor and former director of the École Française d’Extrême-Orient (2004-2014). He has taught the history of Chinese religions in France, the United States, and China. Since 2014 he has served as director of the EFEO Hong Kong Centre and senior research fellow at the Institute of Chinese Studies, The Chinese University of Hong Kong. He has published widely on Chinese religion and regional history. His latest book, Imperiled Destinies: The Daoist Quest for Deliverance in Medieval China, is forthcoming from the Harvard University Press in early 2019. His current interests are focused on the break-up of the Tang empire and the role of military and religious elites in the Tang-Five Dynasties transition in the tenth century. Professor of the School of International Studies and President of the Institute of International and Strategic Studies, Peking University. He was a Global Scholar at Princeton University (2011-2015). He is honorary president of the Chinese Association for American Studies, and was a member of the Foreign Policy Advisory Committee of China’s Foreign Ministry in 2008-2016. He taught in Peking University’s Department of International Politics (1983-1991), and then served as director of the Institute of American Studies at the Chinese Academy of Social Sciences until 2005. 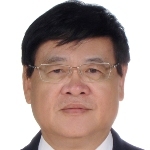 From 2005 to 2013, he served as dean of the School of International Studies at Peking University. He was concurrently director of the Institute of International Strategic Studies of the Central Party School of the Communist Party of China from 2001 to 2009. He obtained an MA degree from Peking University. 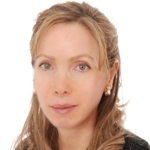 Senior Partner, Co-Head of Global Equity Advisory, Rothschild Paris since 2008. Before joining Rothschild, he was a Managing Director at Deutsche Bank, Chairman of Equity Capital Market, Asia Pacific, based in Hong Kong. He joined Deutsche in 1995 as the Head of French Equities in Paris. He became Head of European Equity Sales in 1998, and Head of European Equity in 2000. Prior to joining Deutsche Bank, he was a Managing Director and Head of French Equities for S.G. Warburg Securities in Paris. He also served as a Director at Lazard Frères & Cie in Paris. He received a Master’s degree in Law from the University of Paris and is also a graduate of the Institut d’Etudes Politiques de Paris. 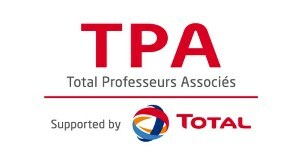 Member of Total Professeurs Associés, and of the French Energy Council. He was Executive Vice President at Total in charge of Strategy and Risk Assessment (2000-2008). He was Chief Financial Officer of Elf Aquitaine (1994-2000). He began his career at the Ministry for Industry (1972-1978), then he joined the Prime Minister Raymond Barre’s cabinet (1978-1981). He graduated from the Ecole Polytechnique, and the Ecole des Mines in Paris. He holds a Master of Science from the Massachusetts Institute of Technology. 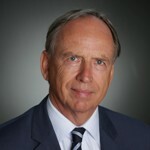 Doctor of Laws, lawyer, Founder and Partner in the law firm Wilhelm & Büchel Rechtsanwälte since 1992. He also serves as Hon Treasurer of STEP, Vaduz Centre. He was admitted to the Liechtenstein Bar in 1990. He holds a Ph.D. from Innsbruck University (Austria). Chairman & CEO of Wolfensohn & Company. He was President of the World Bank and of the International Finance Cooperation (1995-2005). Then, he served as Special Envoy for Gaza Disengagement (2005-2006). He was Chairman of the former Wolfensohn Center for Development at Brookings Institution, and Chairman of the International Advisory Board of Citigroup (2006-2014). Prior to that, he held Senior Management positions at Schroders and Salomon Brothers. 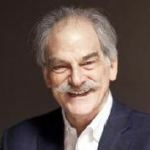 For more than 40 years, he has been active in music organizations, having served as Chair of both Carnegie Hall and the Kennedy Center. 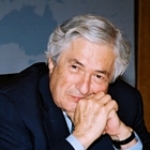 Mr. Wolfensohn has taught at Yale University and holds a B.A. and LL.B. 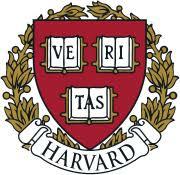 from the University of Sydney, as well as an M.B.A. from Harvard Graduate School of Business. He is a Fellow of the American Academy of Arts and Sciences and a member of the American Philosophical Society. President of the International Strategy Institute. 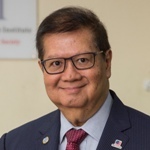 Founder & CEO of the Asian Strategy and Leadership Institute (ASLI), a leading independent Think Tank in Malaysia and Asean. 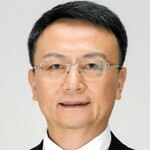 He is also Founder and Chairman of the World Chinese Economic Forum and the Asean Leadership Forum. He was appointed by the Prime Minister of Malaysia to be a Commissioner in Malaysia’s Competition Commission and Malaysia’s Representative with Ambassadorial Status to the Asean High Level Task Force established by the Asean Heads of Governments at the Asean Summit. He is also Secretary-General of the Malaysia China Business Council and the Asean Business Forum. He studied at Monash University and the Aresty Institute of Wharton School. Senior Advisor at Lee International IP & Law Group. 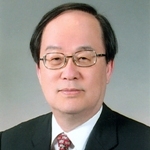 Previously, he held the position of President of the Korea Foundation (2007-2010). He joined the Ministry of Foreign Affairs in 1974 and served, among others, as Korean Ambassador to Canada (2004-2007) and Egypt (1996-1999). In 2001, he was Deputy Minister for Foreign Affairs and in 2002, he was appointed as the National Security Advisor to President Kim Dae-jung. He currently co-chairs the Korea-Canada Forum. He graduated from Seoul National University, Oxford University and Keio University. Independent broadcast journalist, TV reporter and news presenter. Since 2014, she is a news anchor on BFM TV. She is also an investigative reporter working for the French leading public television network France 2’s foreign affairs programme “Un Oeil sur la Planète” since 2011. She started her career in the French news network LCI and at TV5 Monde. She joined the global news network Al Jazeera English, first in the London news centre and then as its Paris Correspondent. She is teaching journalism and TV broadcast seminars at the Institut Pratique de Journalisme in Paris (Université Paris Dauphine) since 2010. She graduated in journalism studies in Tours, France, and studied international relations and political studies at Quebec University of Montréal (Canada). Chairman of the Management Board of the Institute of Contemporary Development. 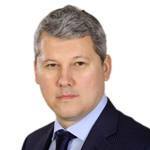 In June 2013, he was elected President of the All-Russian Insurance Association, in January 2015, President of Russian Association of Motor Insurers. He is also a member of the Presidential Council for Civil Society Institutions and Human Rights, of Russian International Affairs Council and of the Presidium of the Council for Foreign and Defense Policy. He is a professor of the Higher School of Economics. He graduated from the Economics Department of Moscow State University.